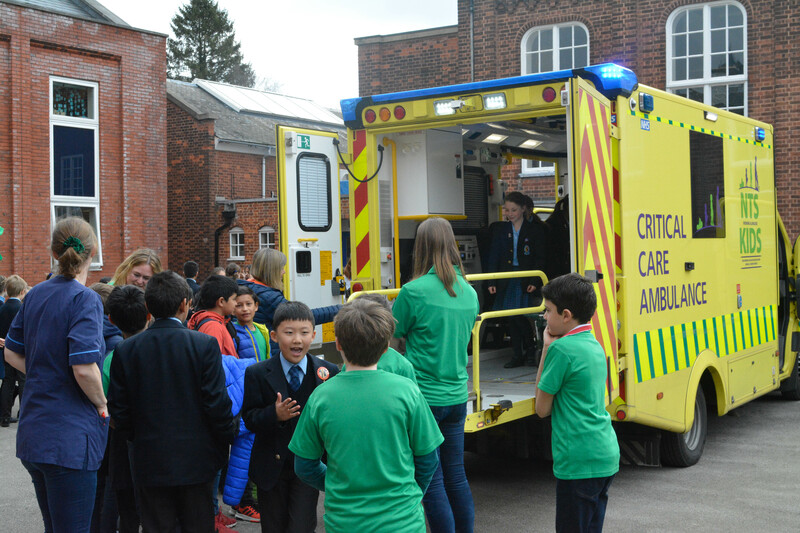 Sirens could be heard on the school playground this morning but luckily there wasn’t an emergency to tend to. 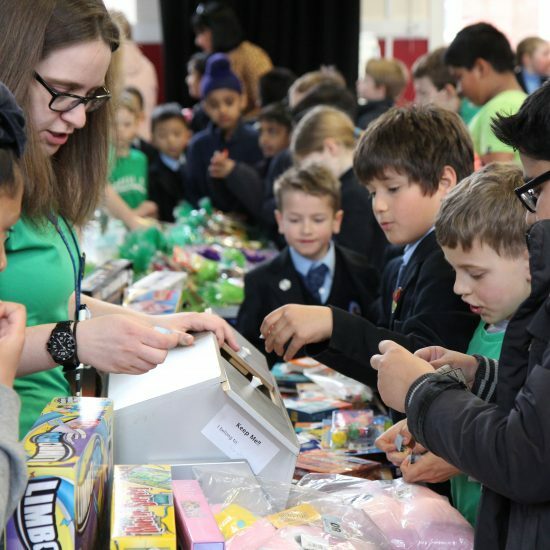 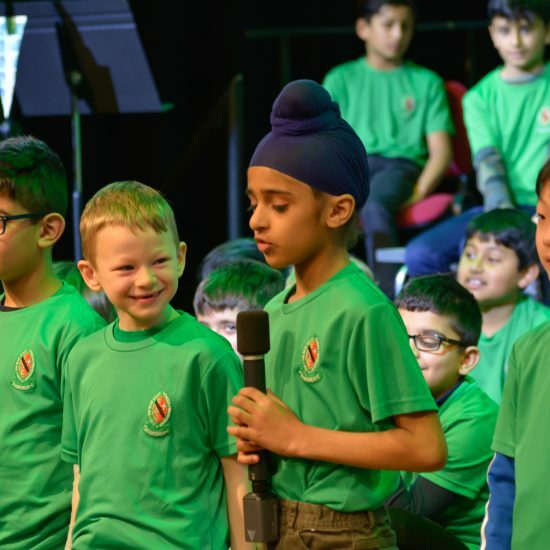 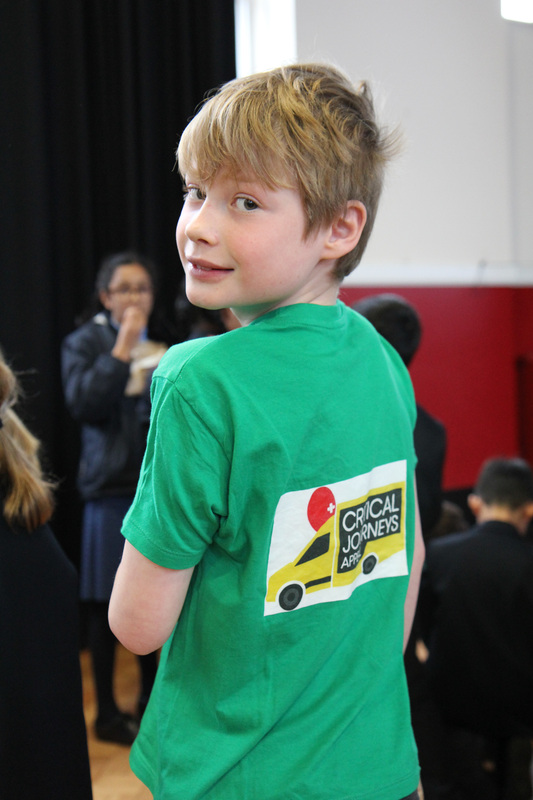 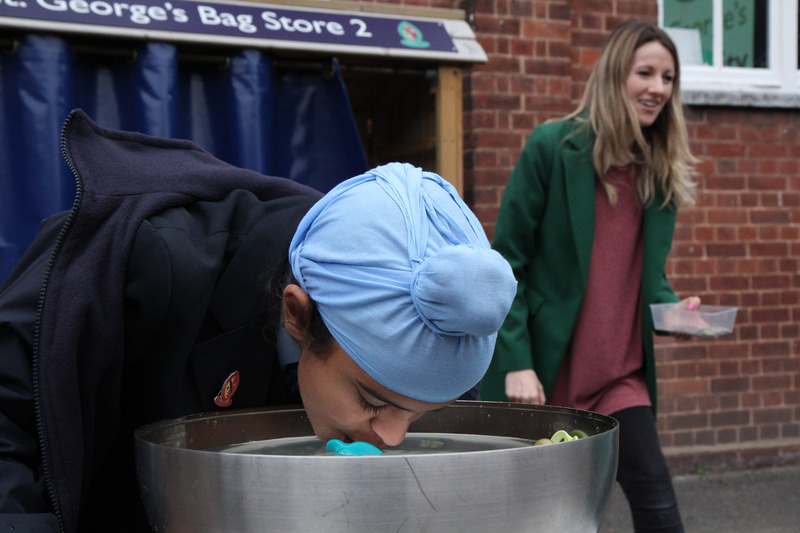 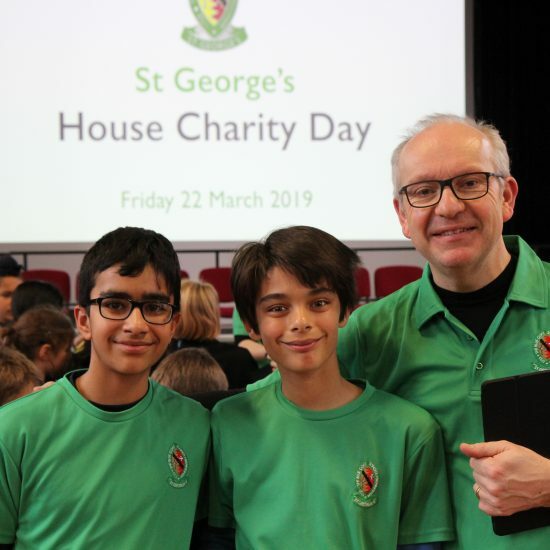 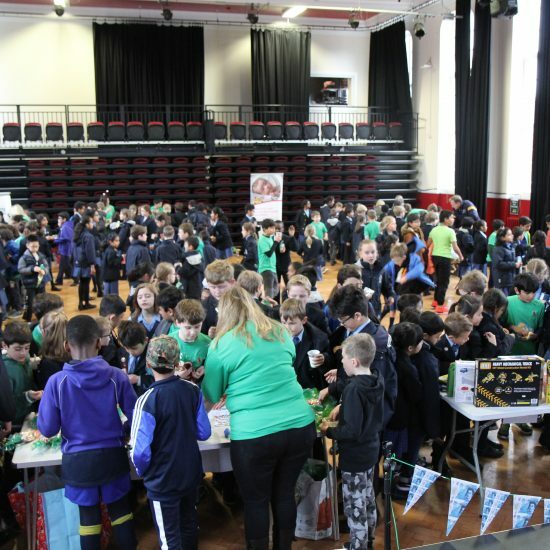 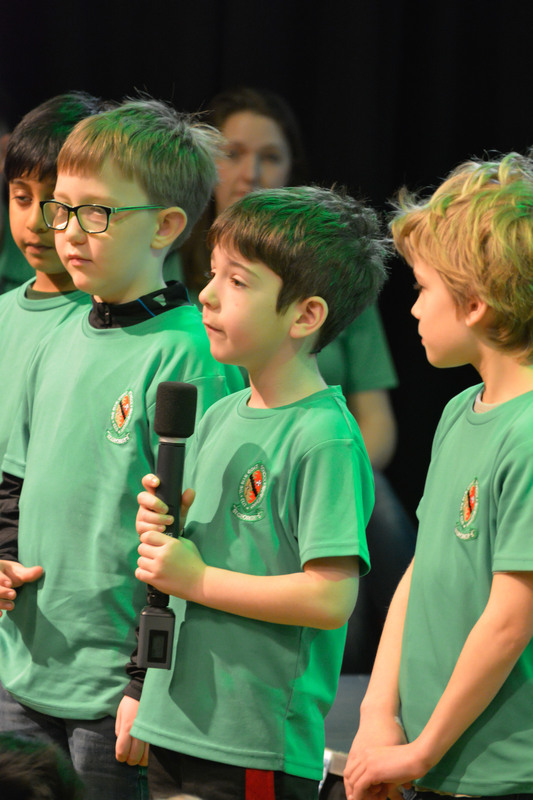 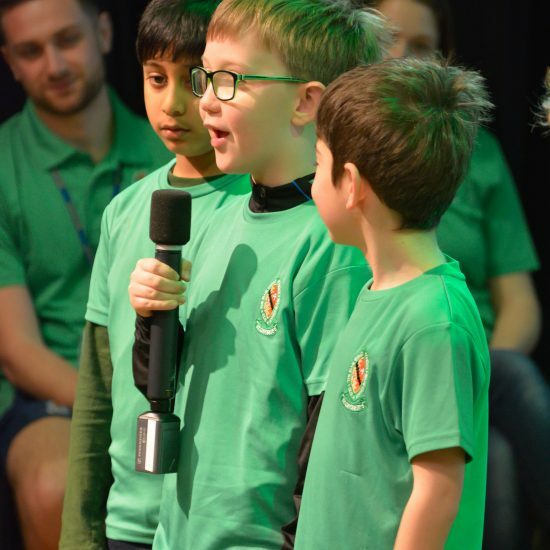 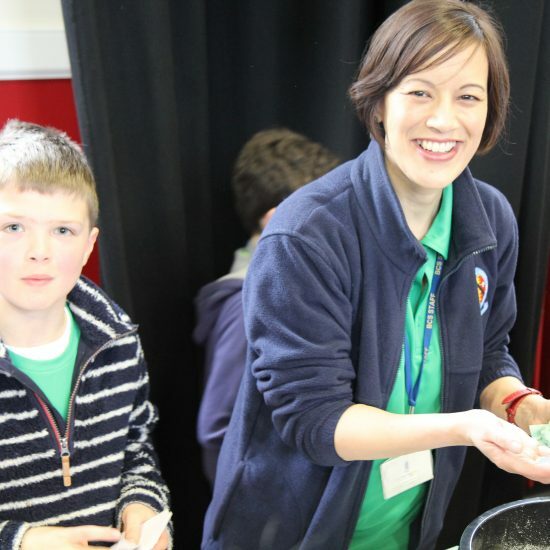 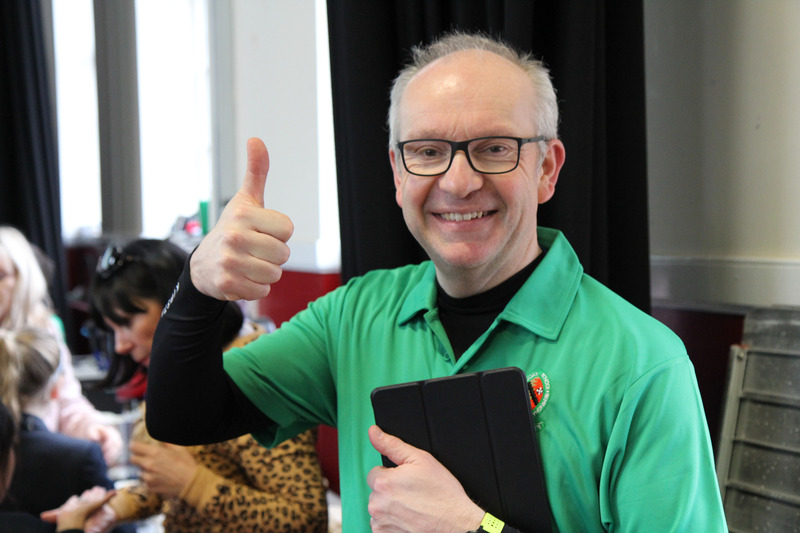 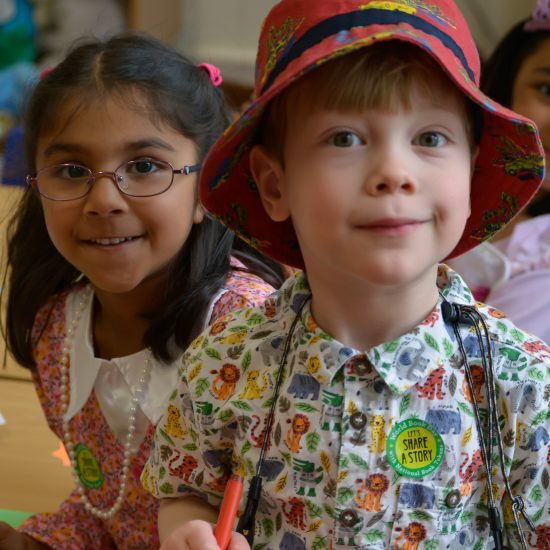 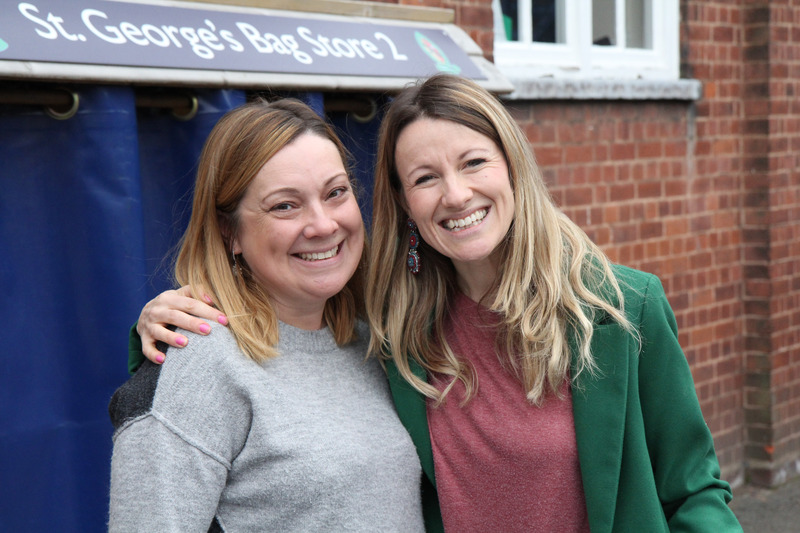 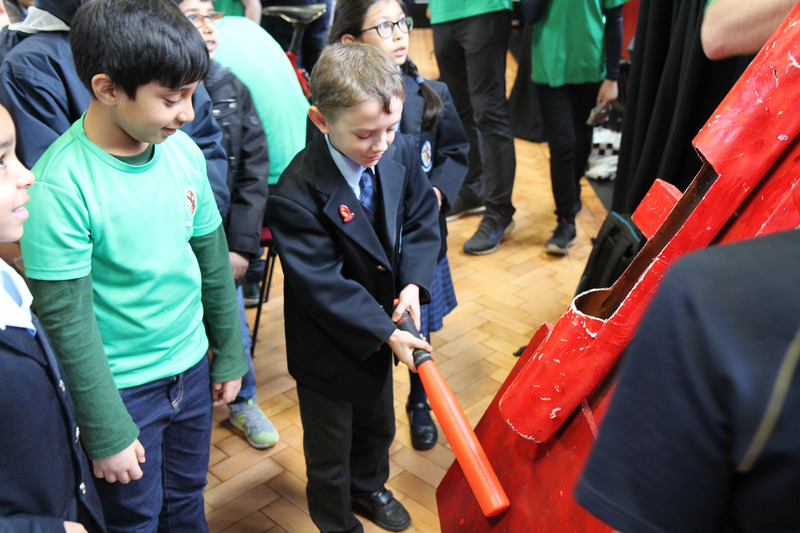 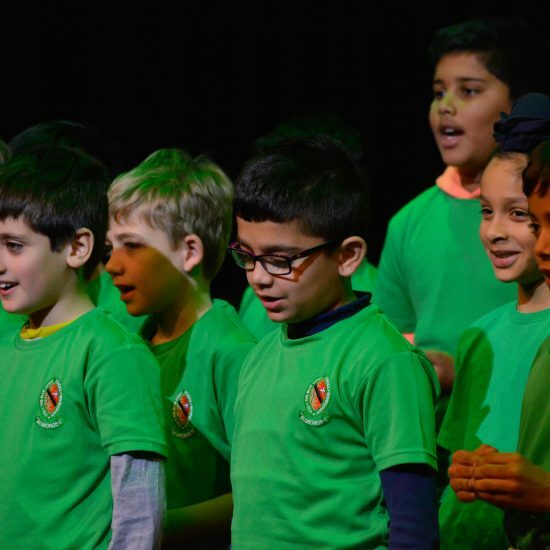 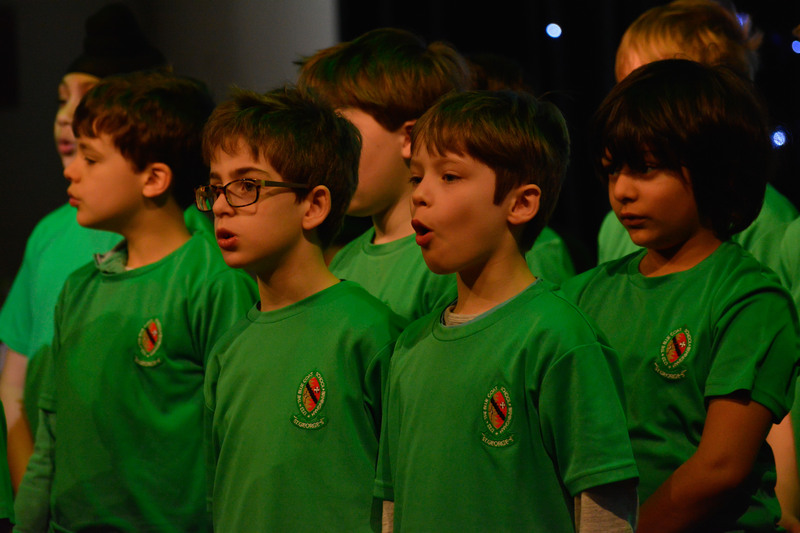 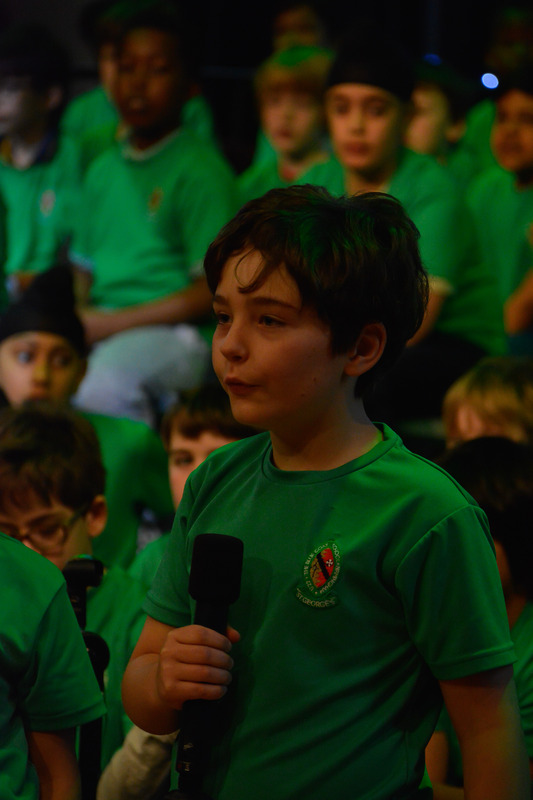 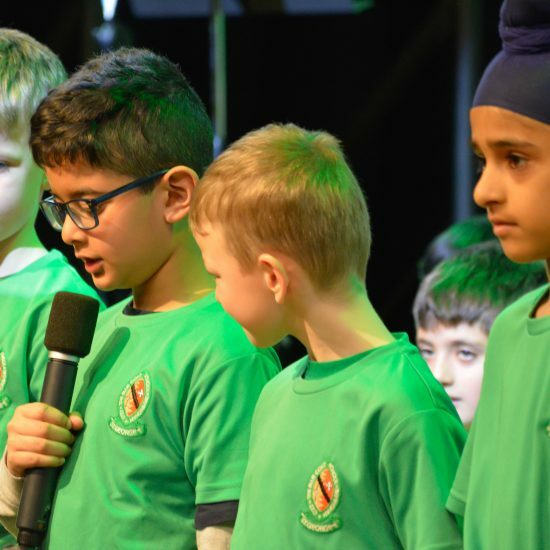 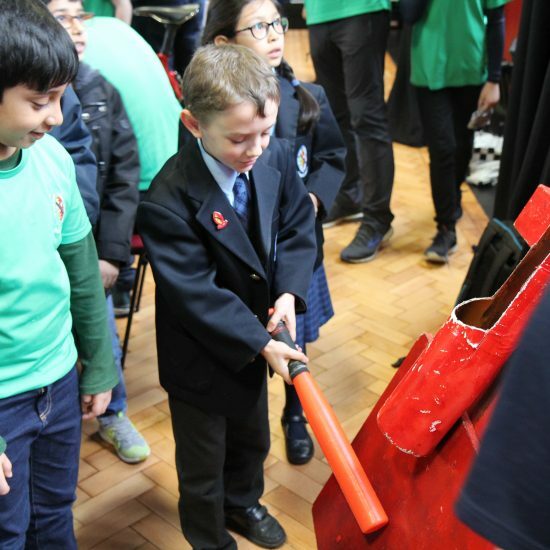 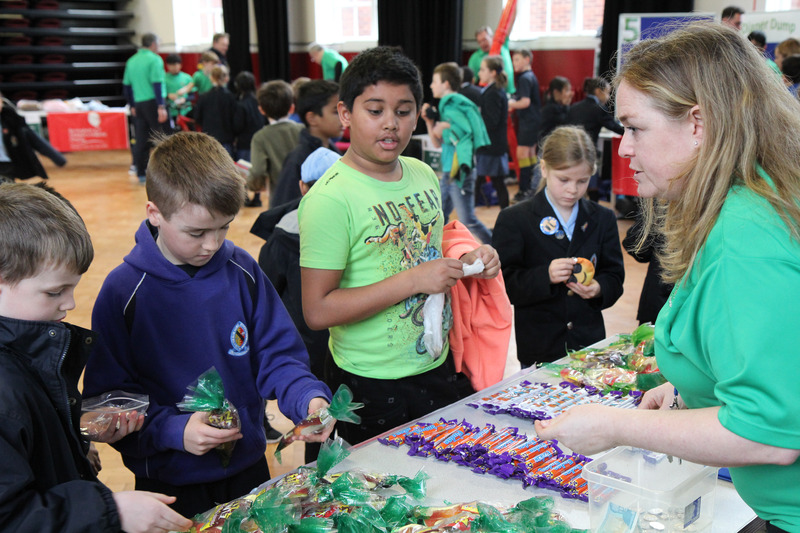 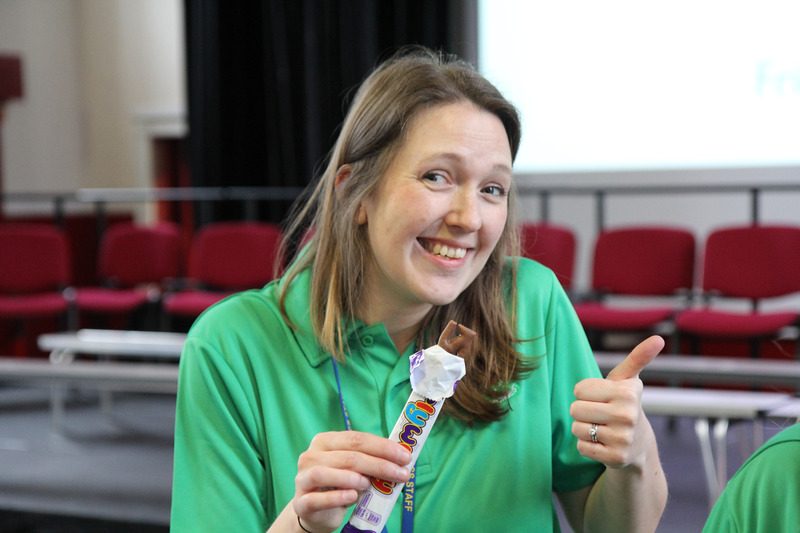 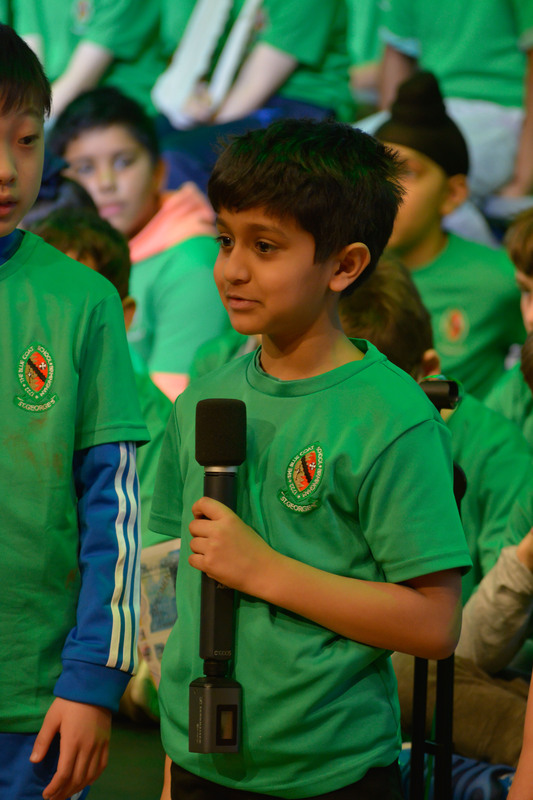 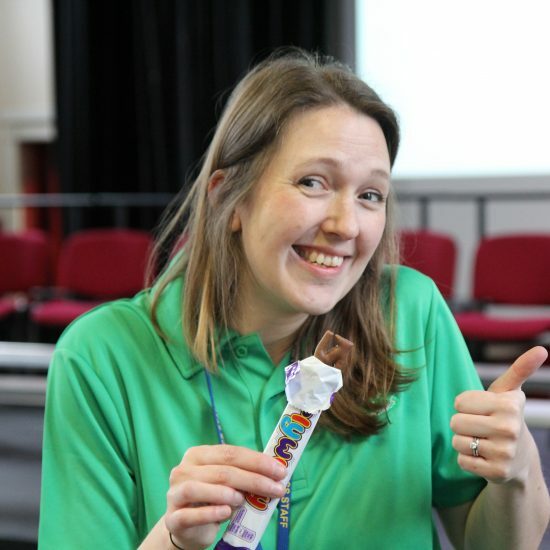 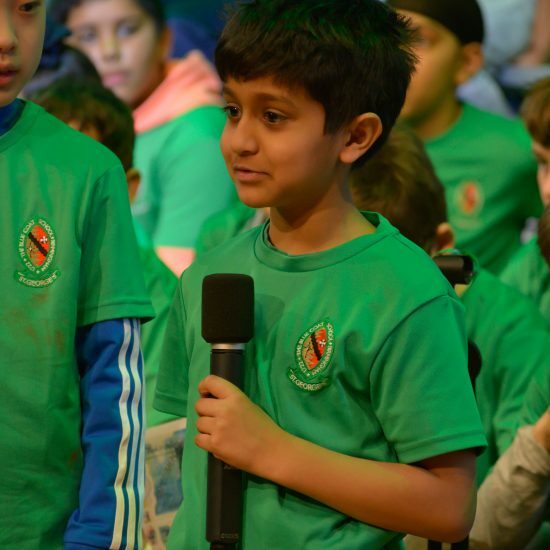 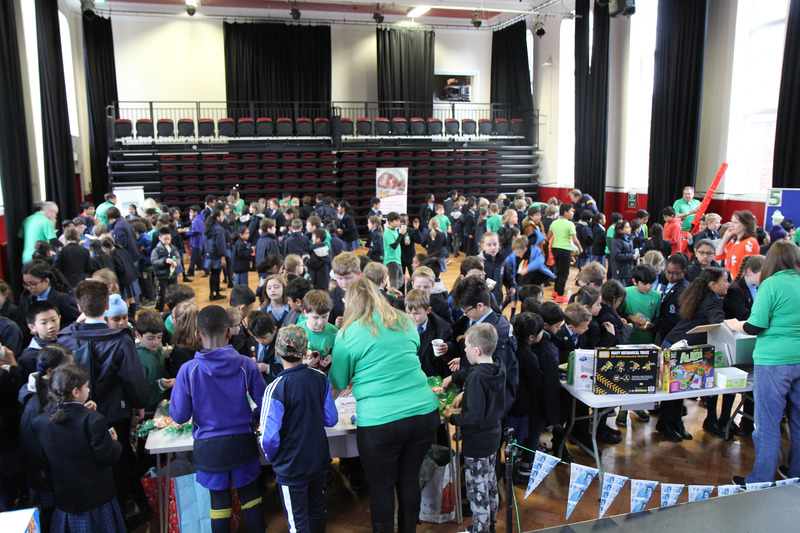 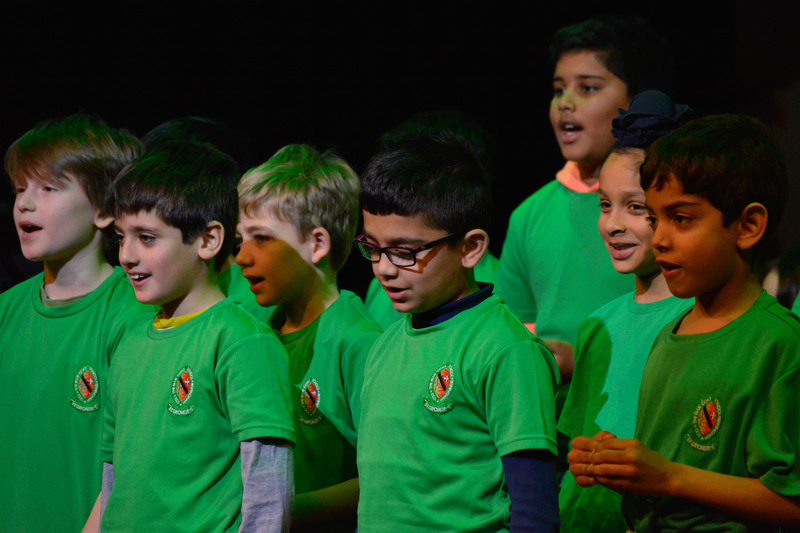 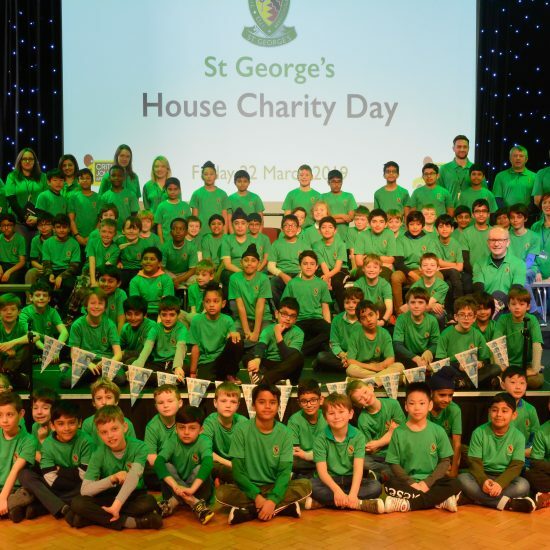 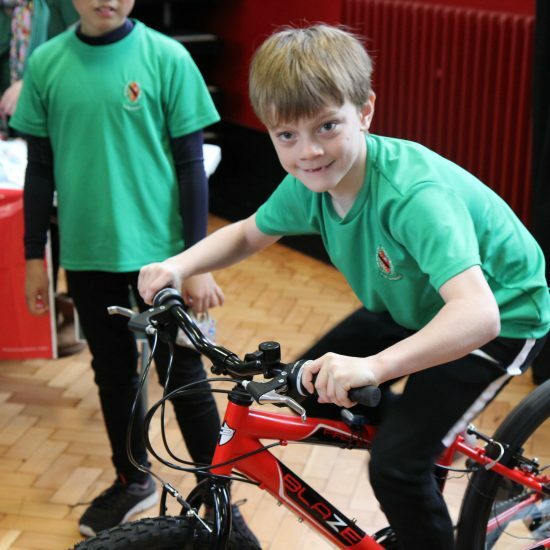 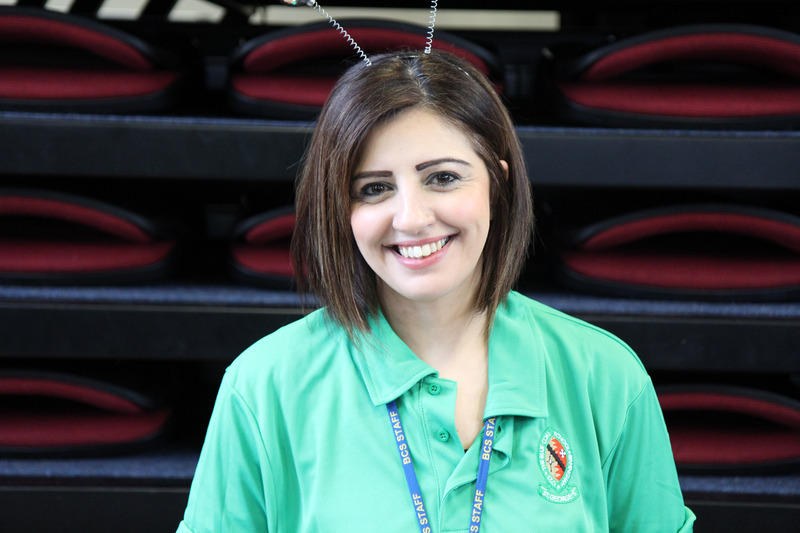 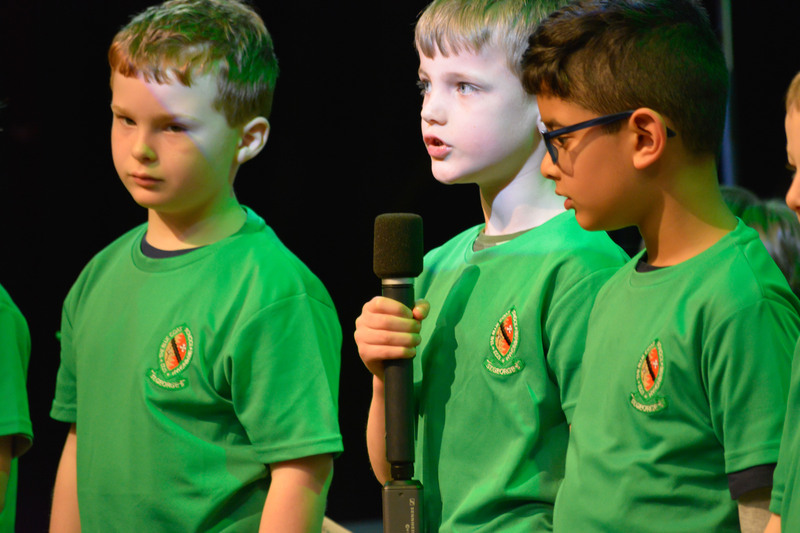 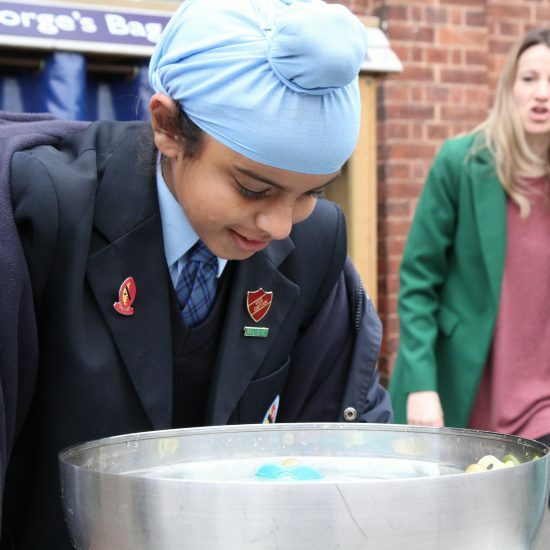 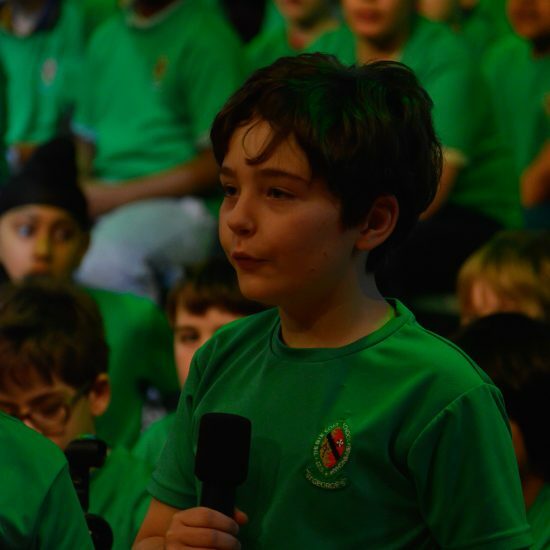 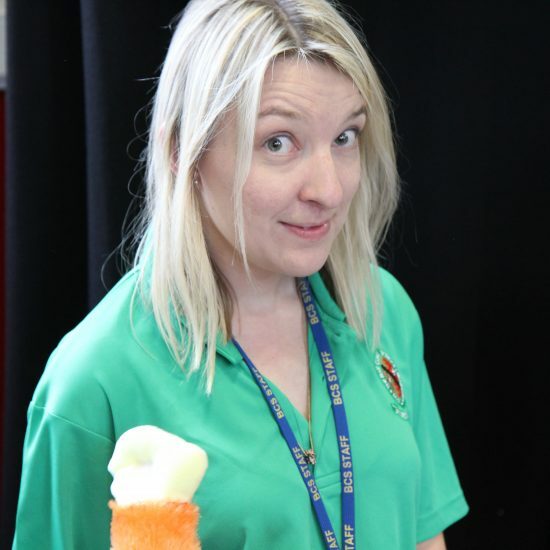 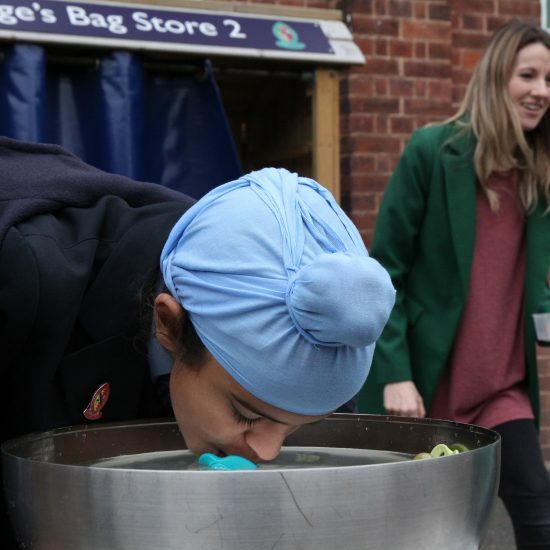 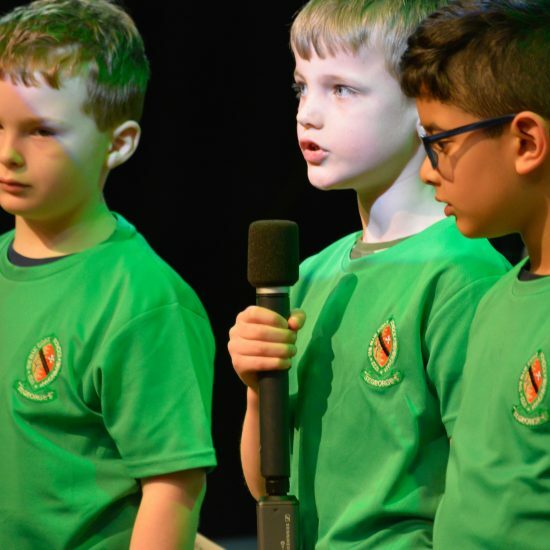 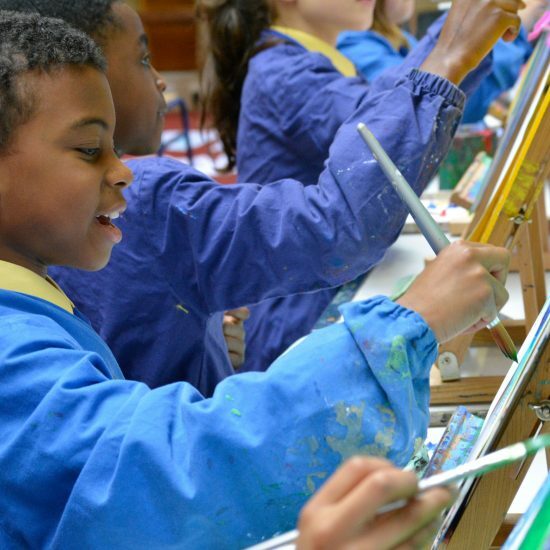 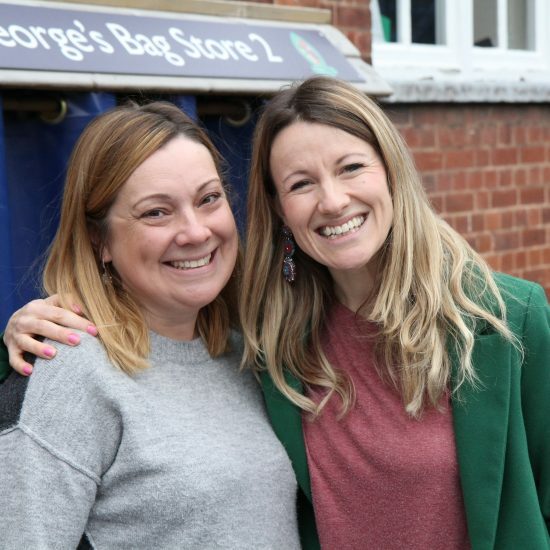 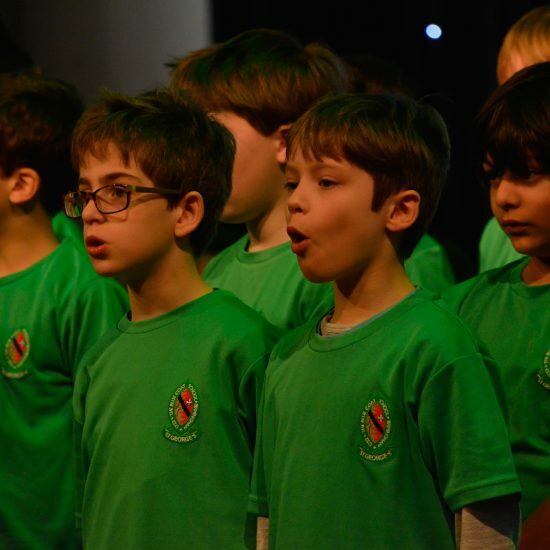 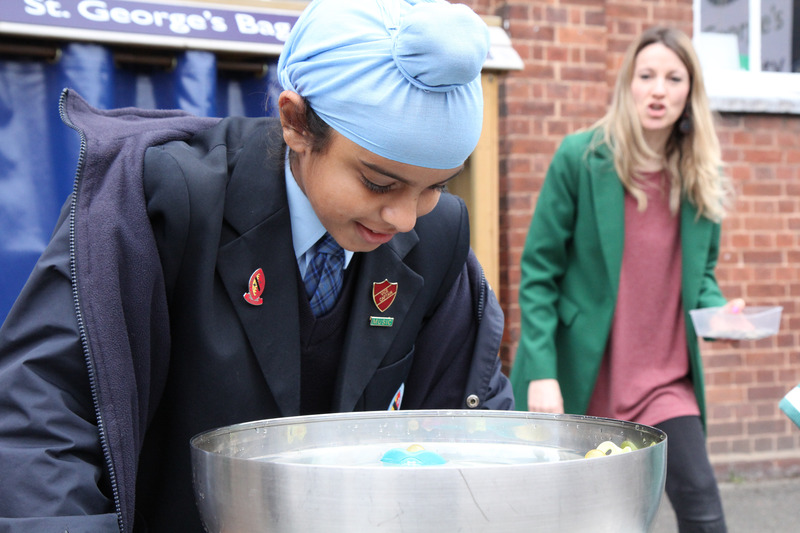 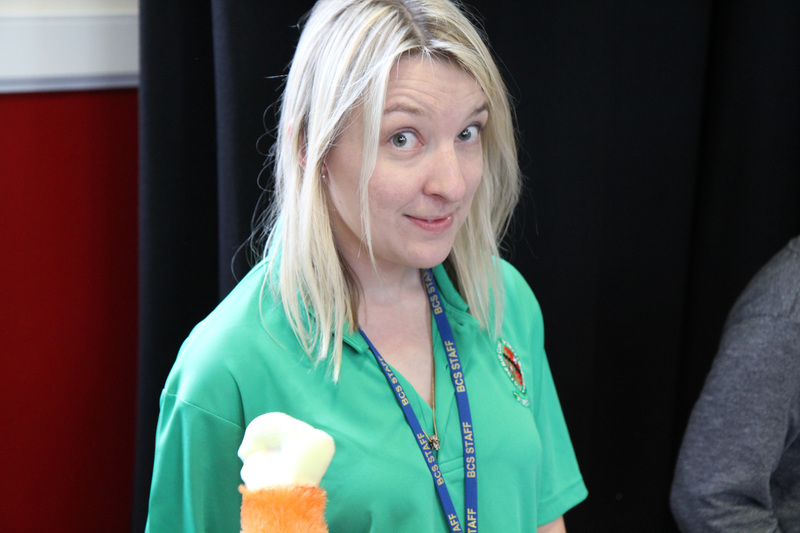 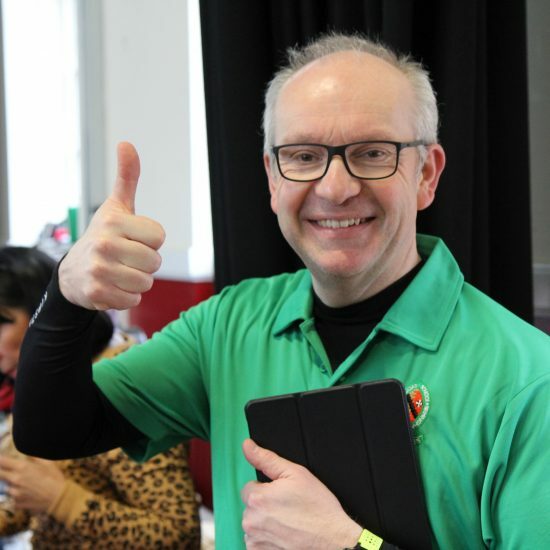 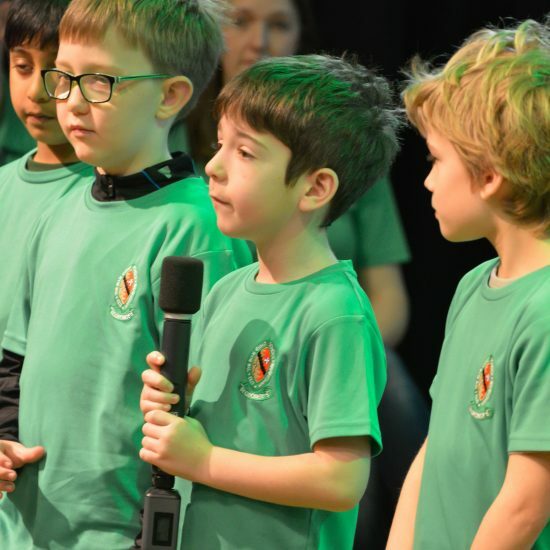 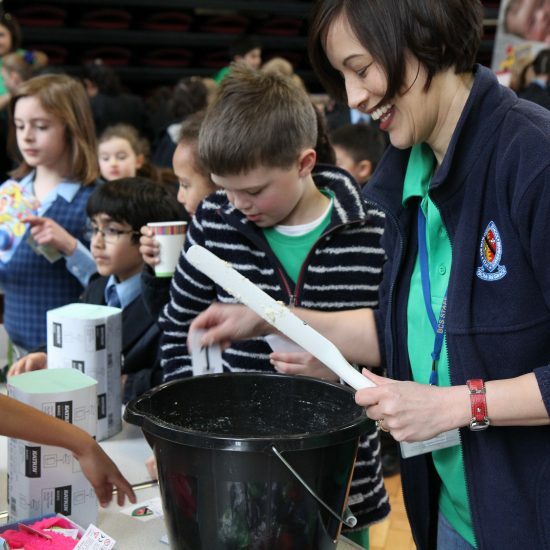 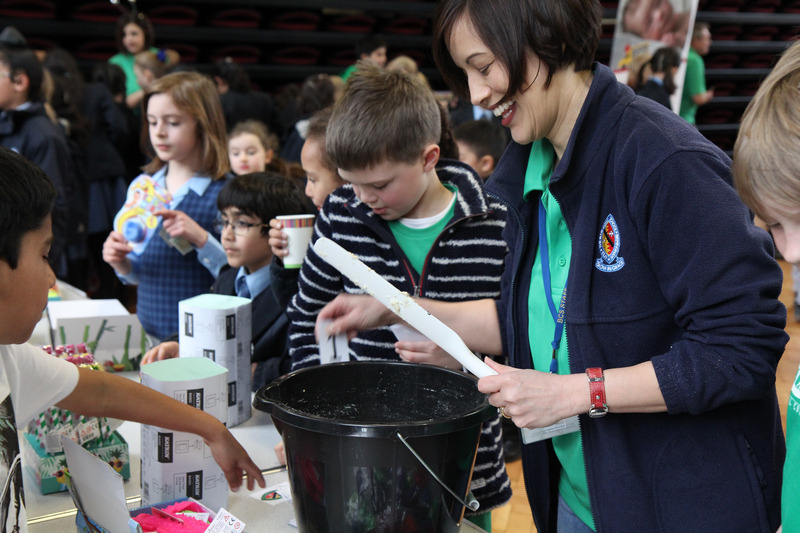 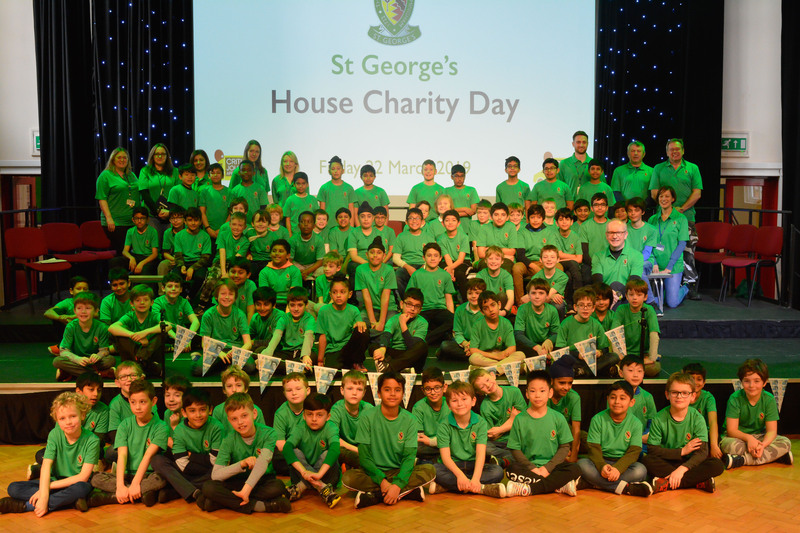 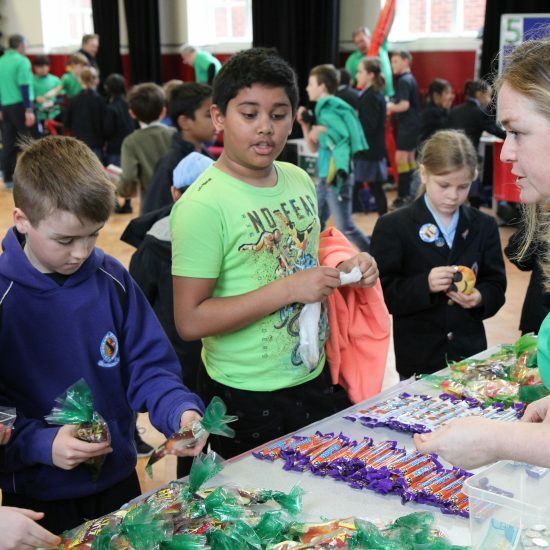 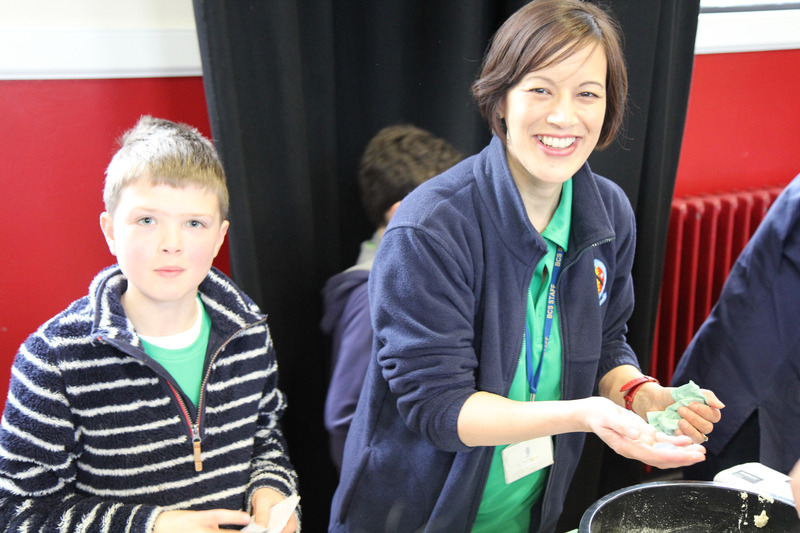 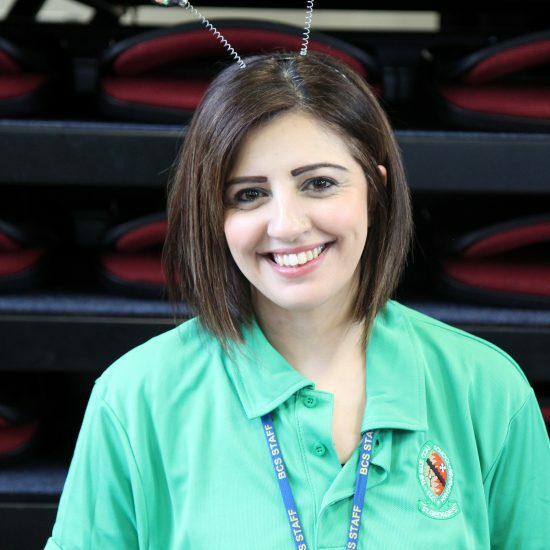 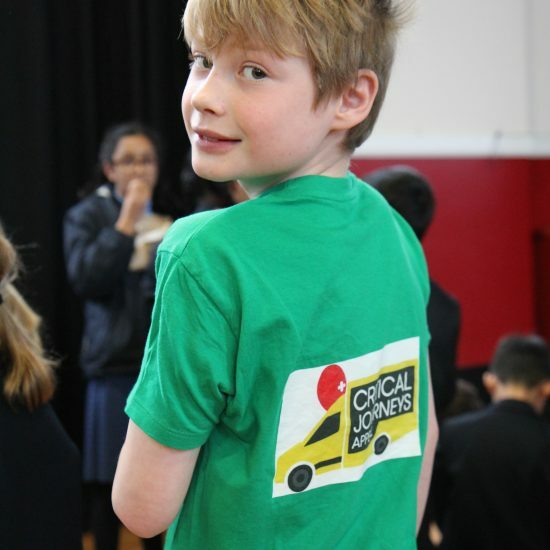 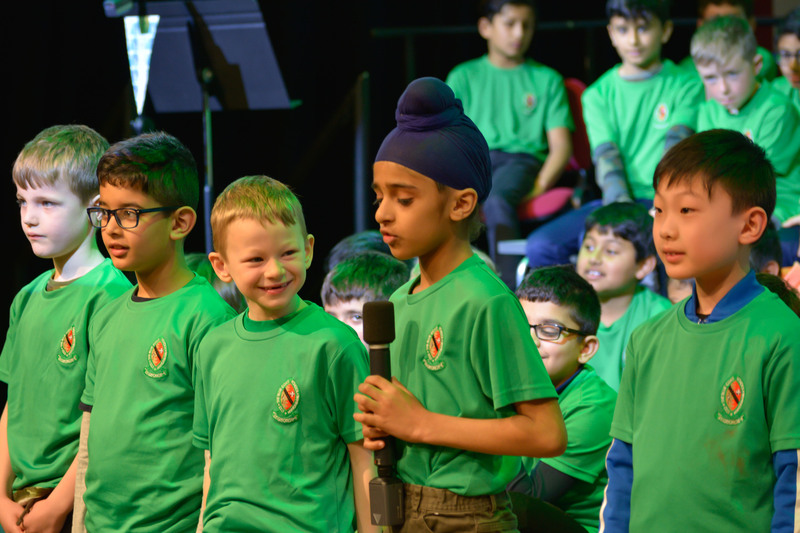 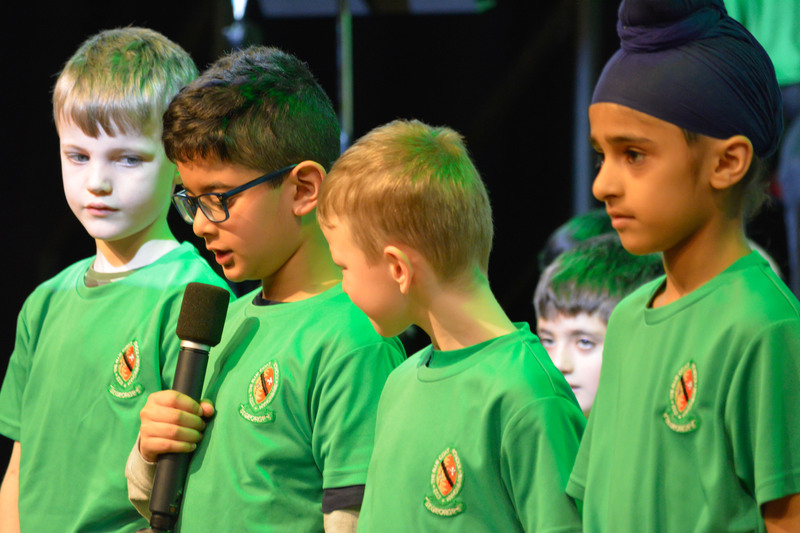 As parents, children and staff assembled, the familiar sight of green t-shirts meant only one thing – yes, it was St. George’s House Charity Day! 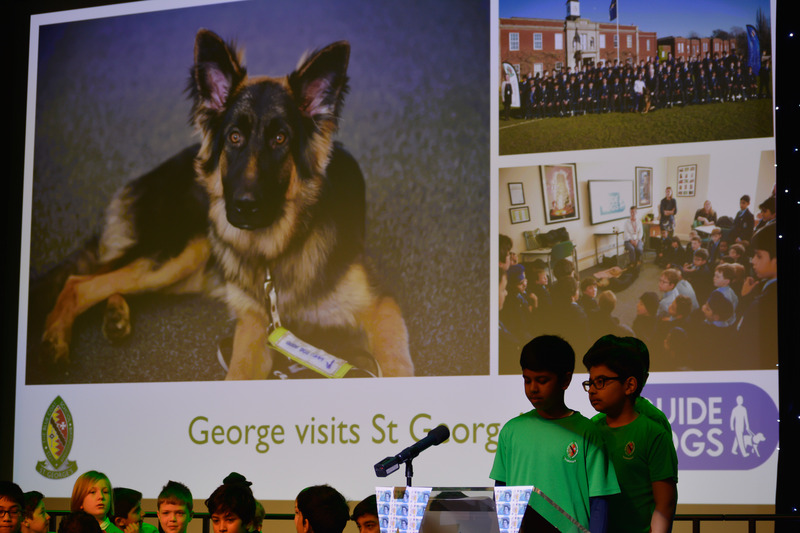 The boys began their assembly with a quick introduction to George, the appropriately named guide dog that the House had sponsored last year. 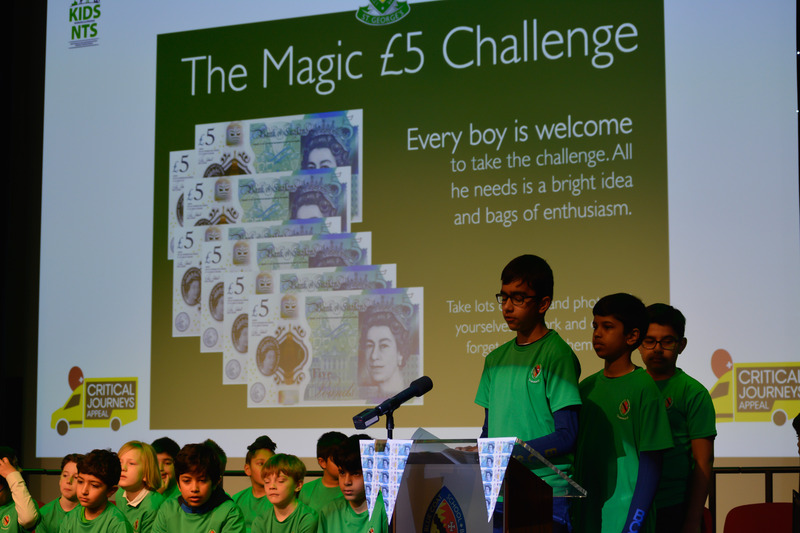 Rohan then explained that this time around, the boys wanted to work with a local charity that helps and supports children. 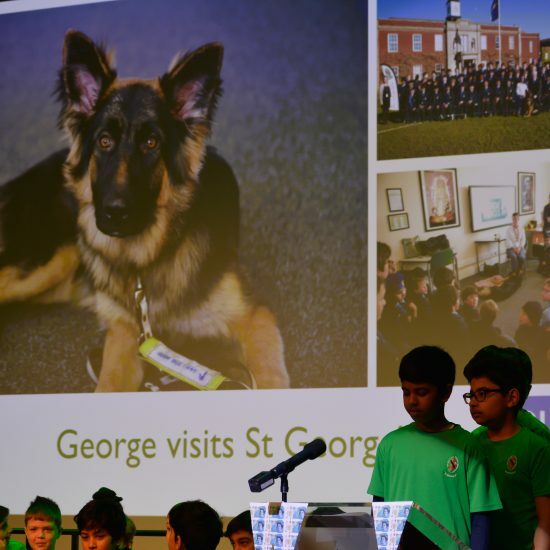 With many St. George’s parents already associated with the Birmingham Children’s Hospital and some of the children themselves past patients, this seemed the perfect choice. 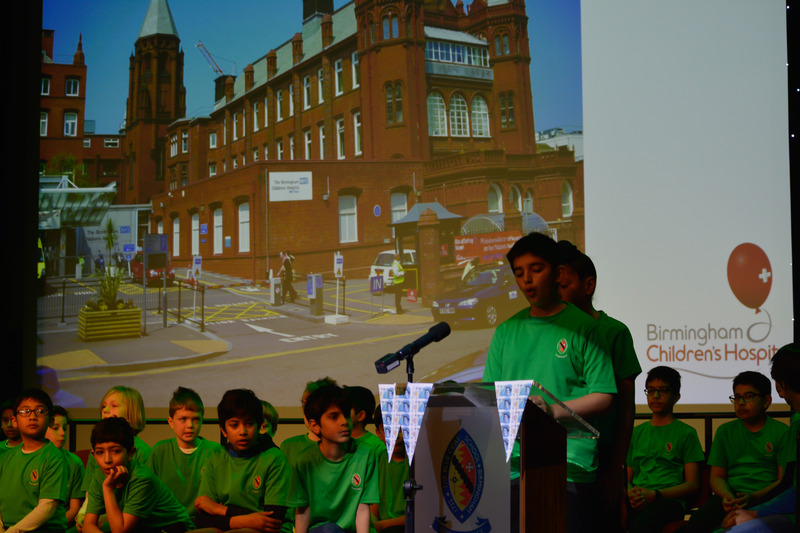 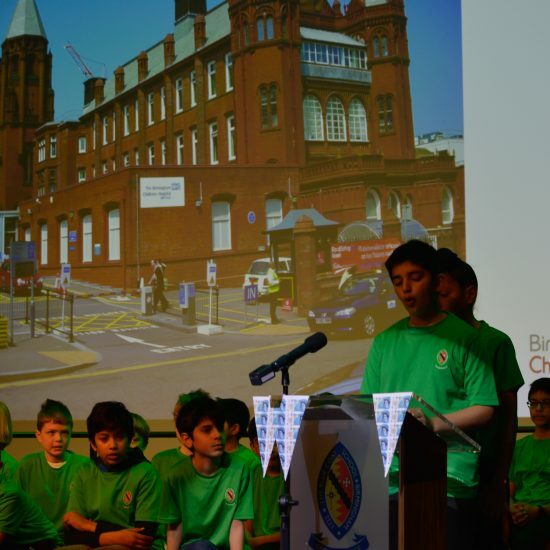 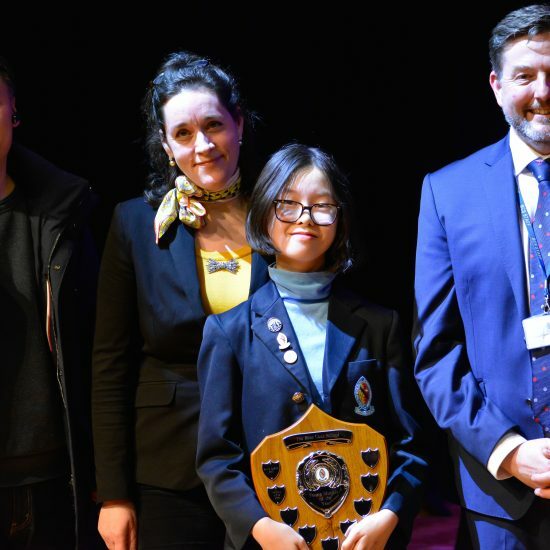 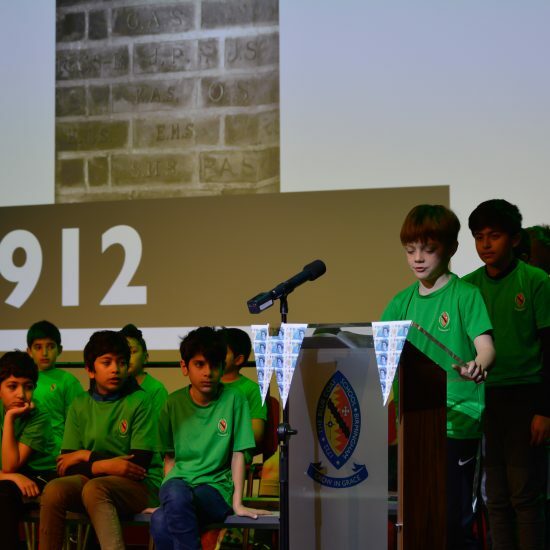 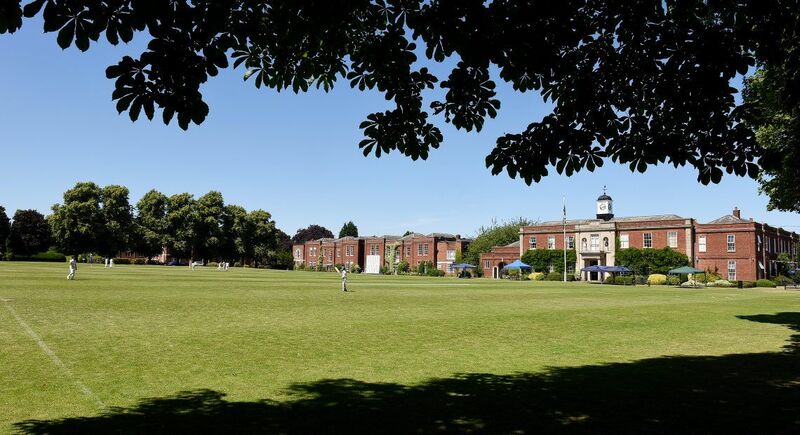 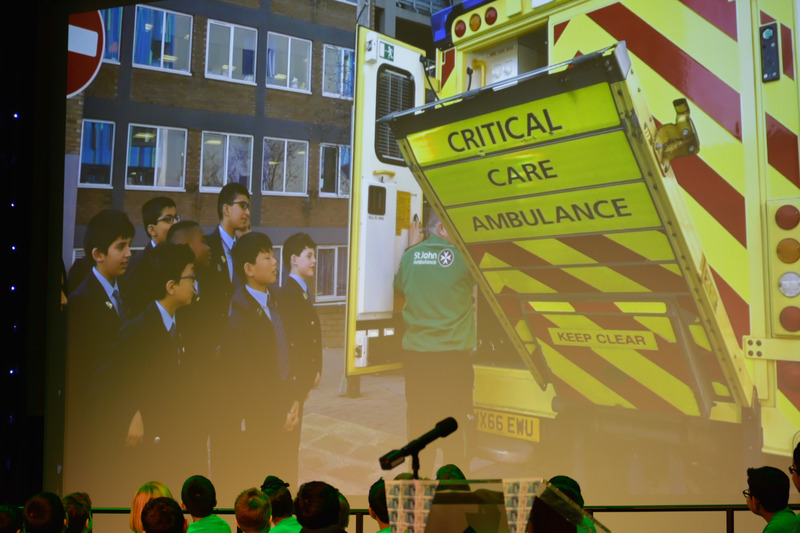 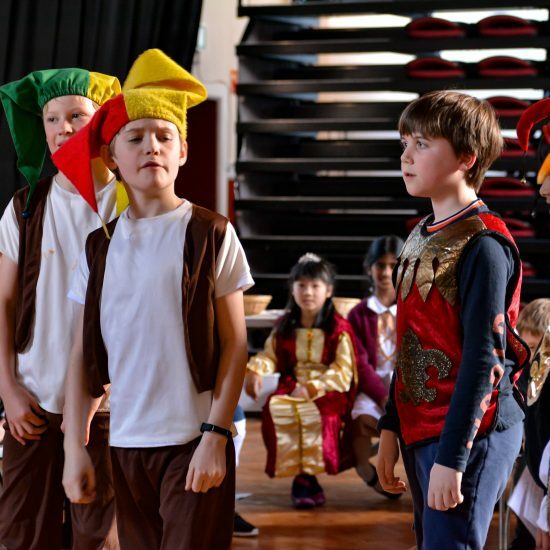 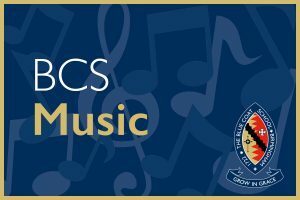 In their assembly, the boys explained the history of the Birmingham Children’s Hospital Charity, the charity associated with the hospital which dates back to 1861. 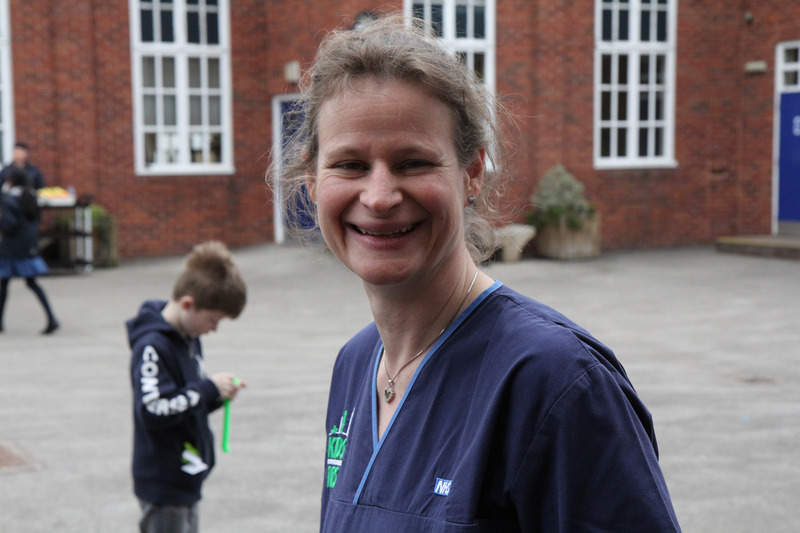 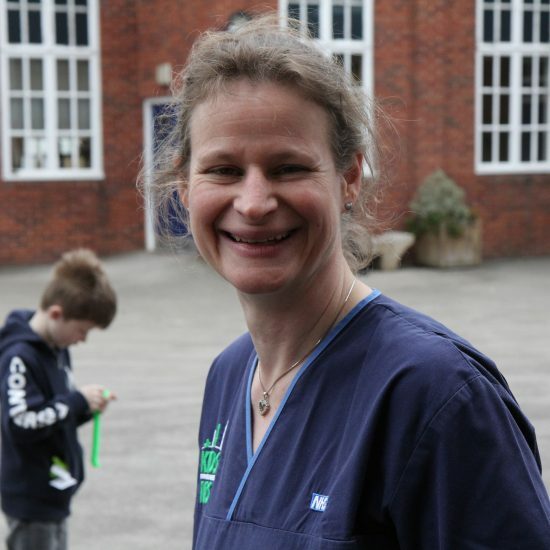 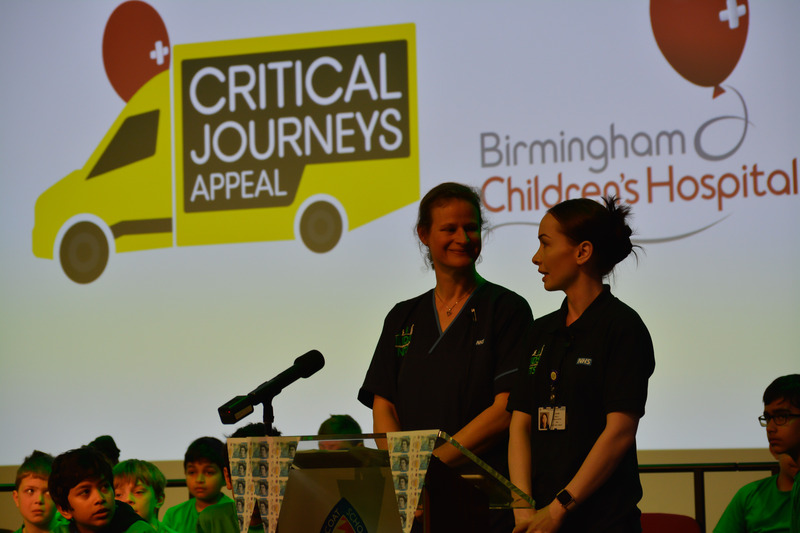 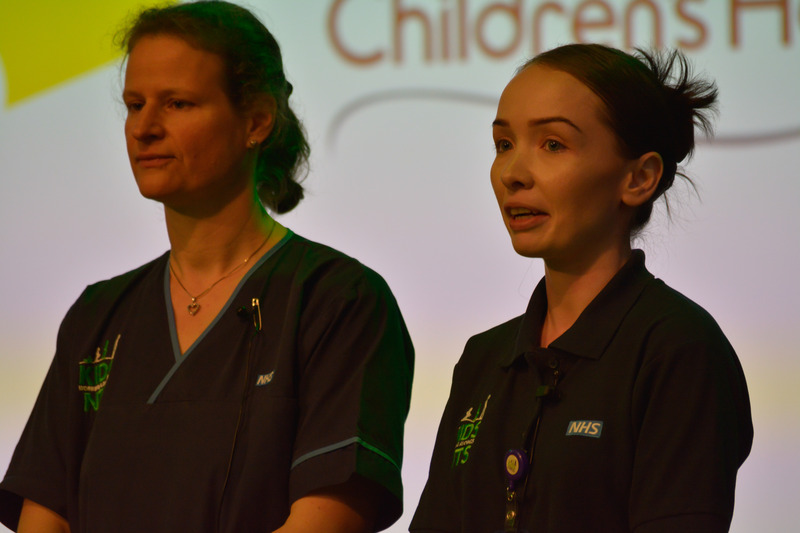 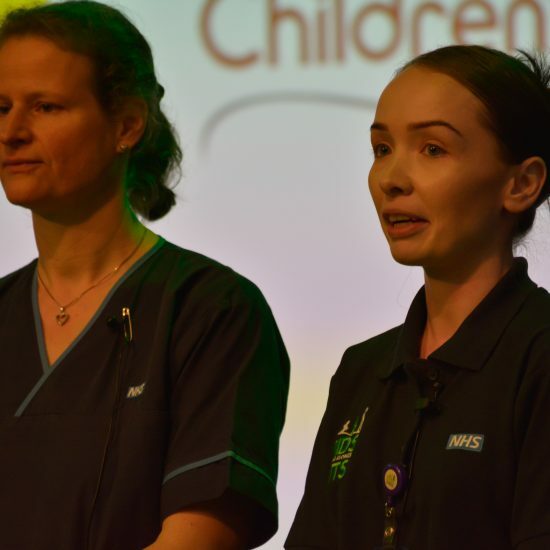 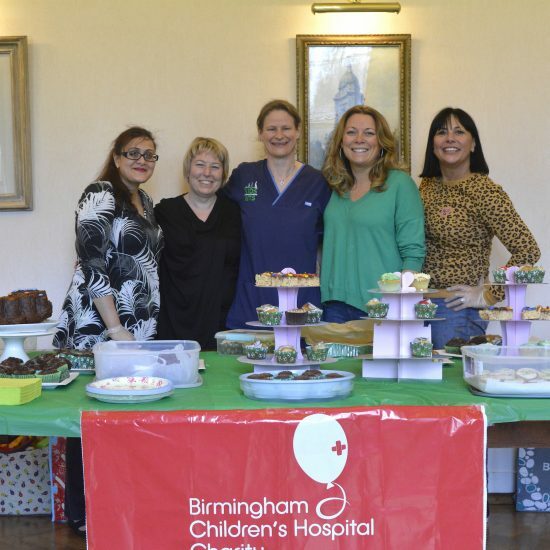 With the help of St. George’s Mum, Dr Daniela Vieten-Kay and Louise Kelly, Senior Nurse for the KIDS team at BCH, we learnt more about the Critical Journeys Appeal, the focus of today’s fundraising. 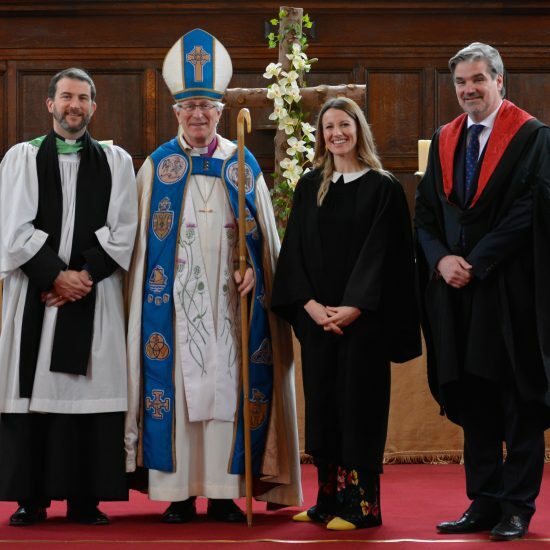 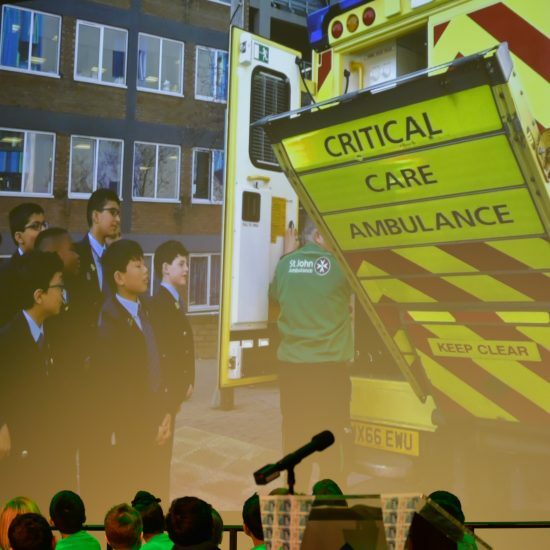 The Appeal aims to raise £2 million to equip a fleet of four Critical Care Ambulances with the latest life-saving medical equipment. 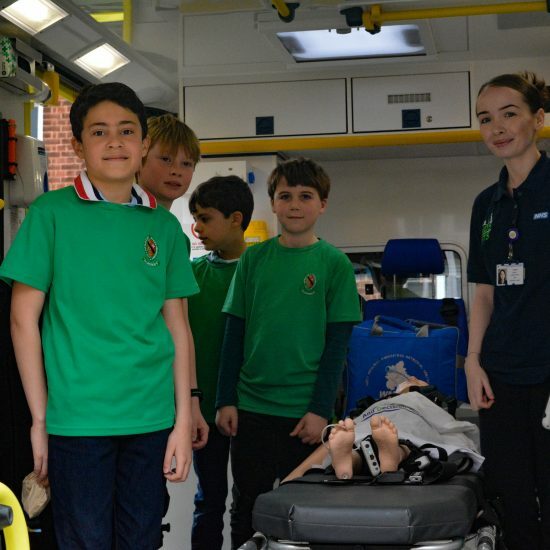 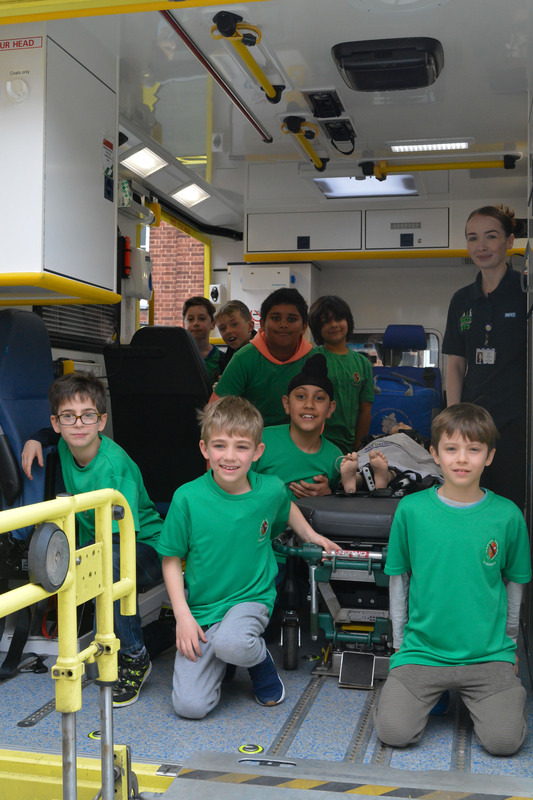 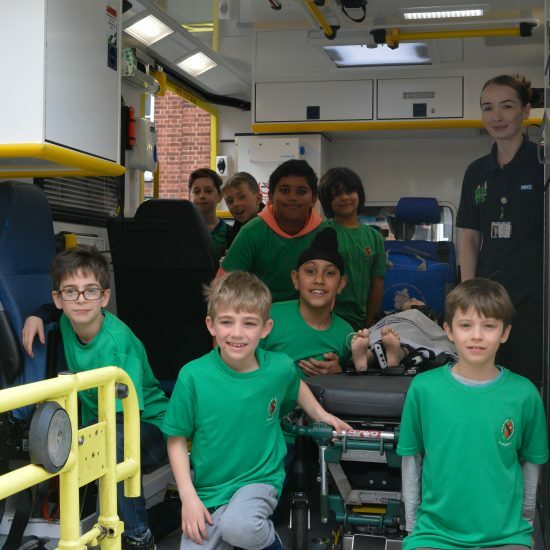 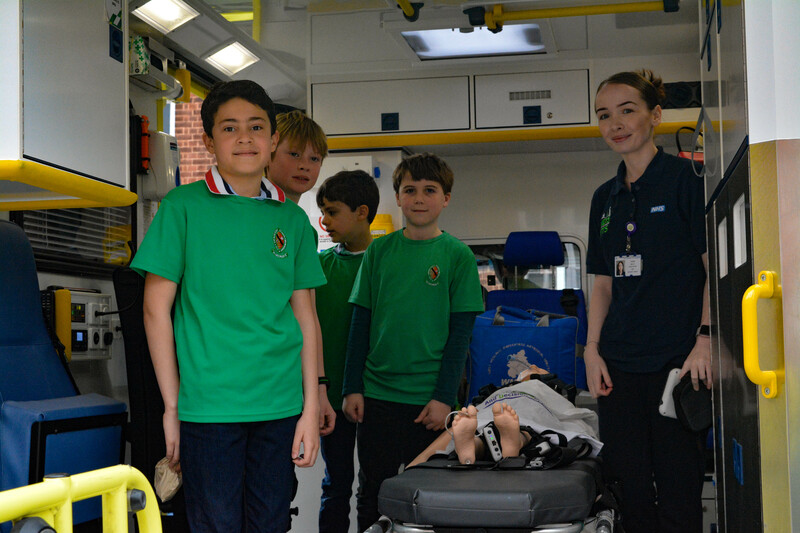 The children were lucky enough to have the opportunity to view one of the NTS Kids’ ambulances today and some of St. George’s boys also took time out to visit the hospital recently. 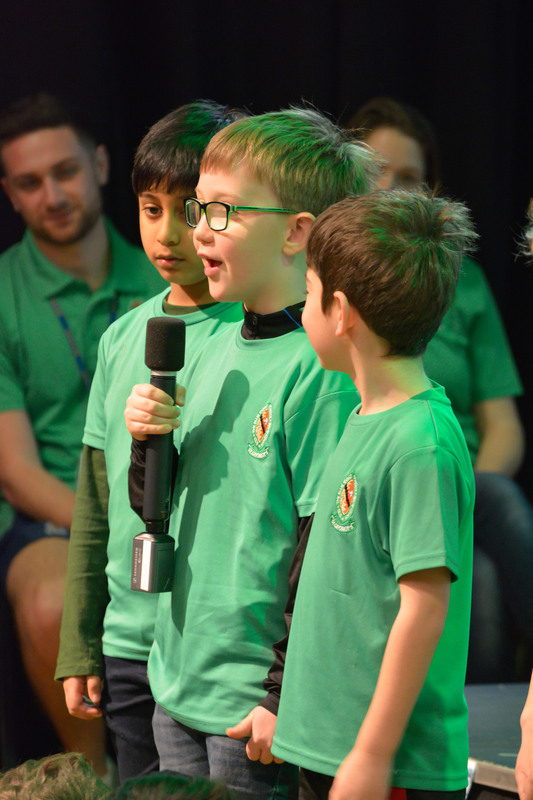 Year 4 boys helped us to reflect on the gift of life with ‘A Baby’s Poem’ by Frank Elkins before we heard about the boys’ busy fundraising endeavours. 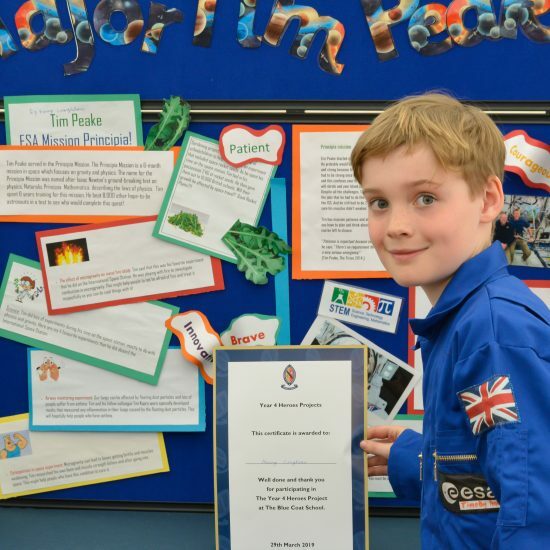 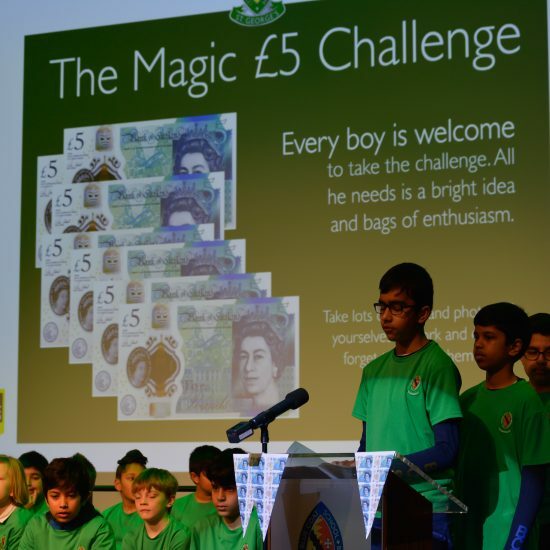 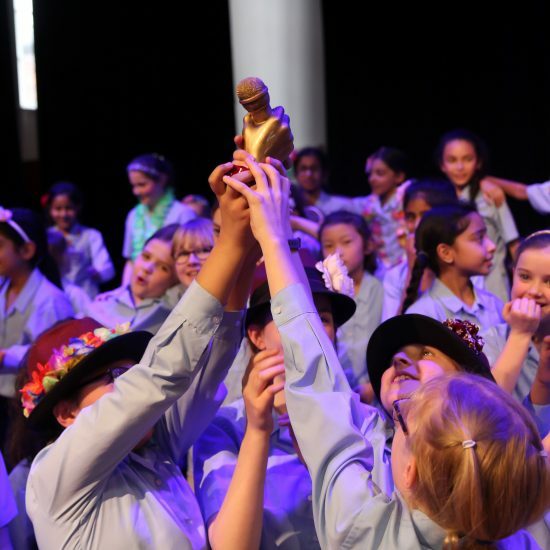 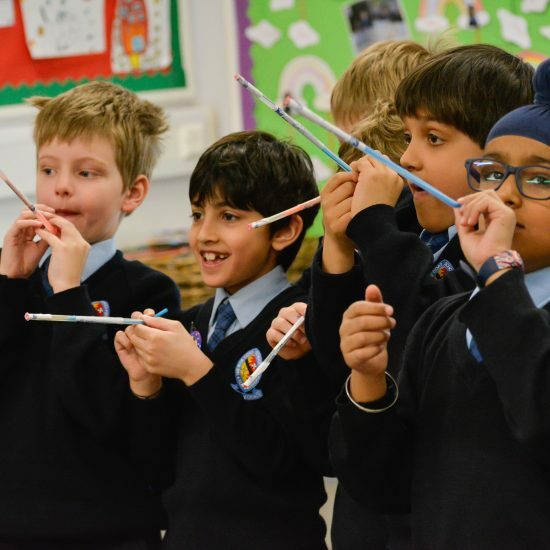 Back by popular demand, the Magic Five Pound Challenge has produced even more pennies this year and Mr Hill put together a lovely video montage with some of their stories whilst some of our Year 3 boys stood up and spoke about their challenge. 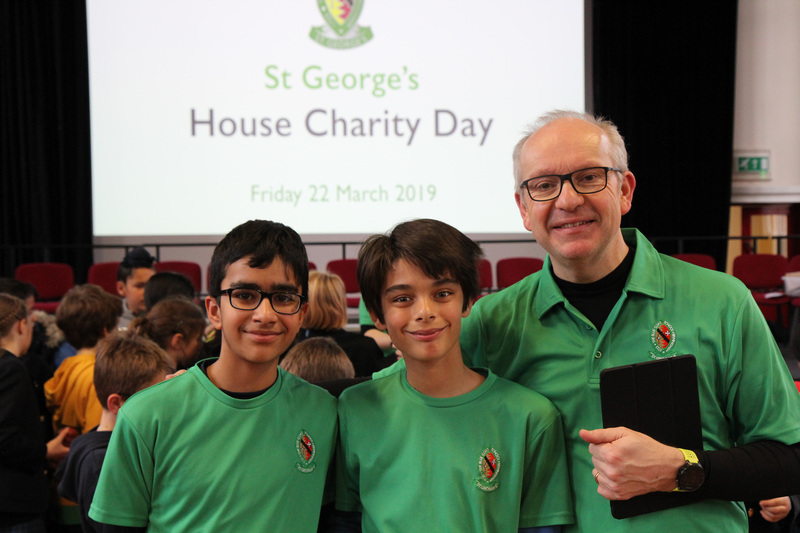 Not wanting to stand still (so to speak) St. George’s boys introduced another new challenge this year. 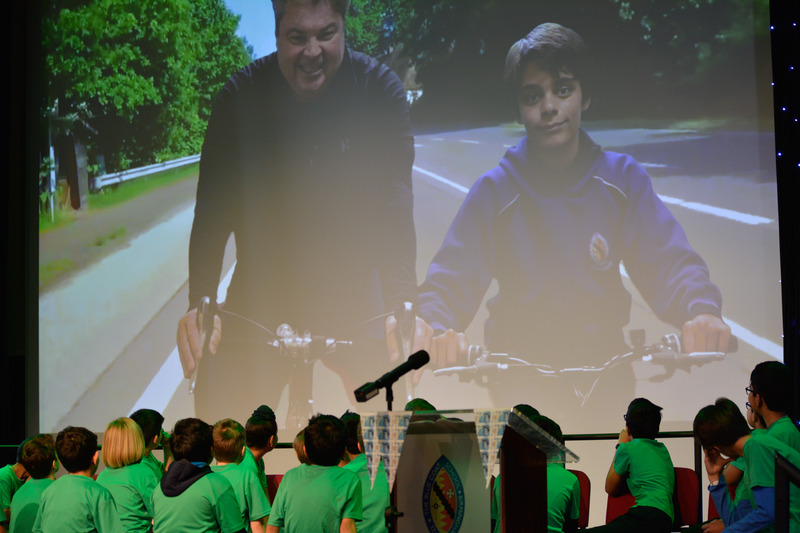 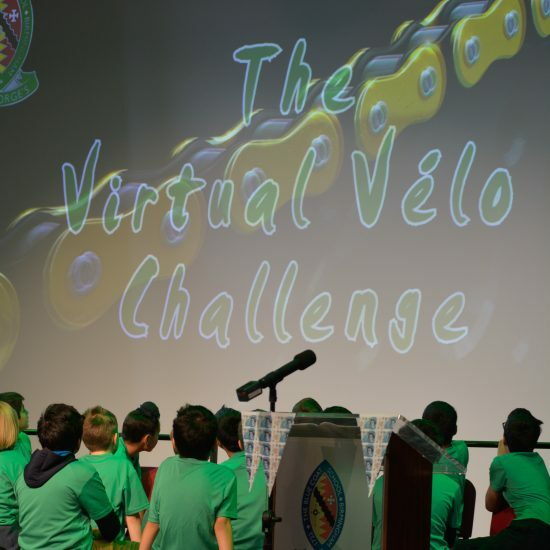 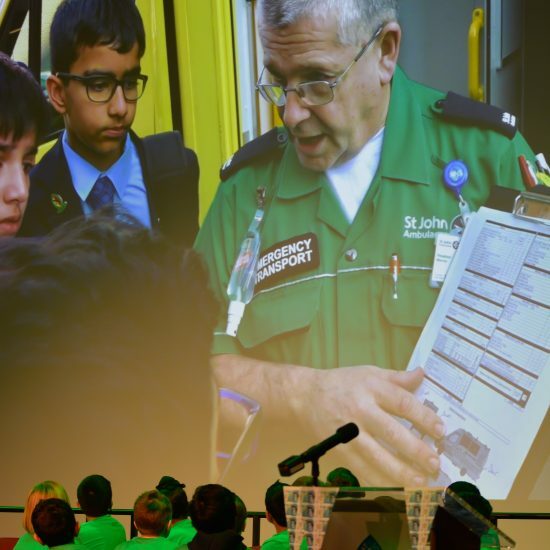 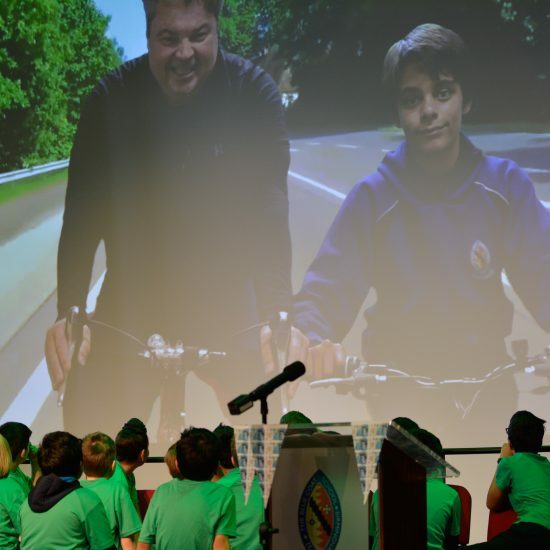 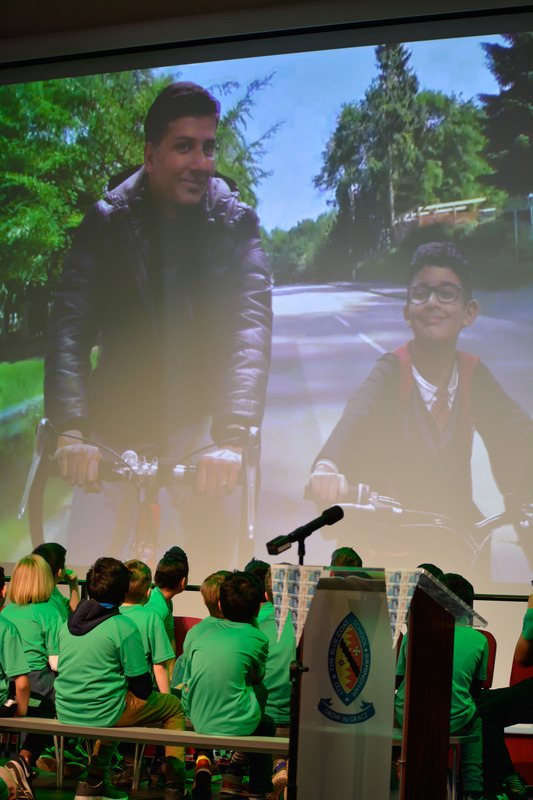 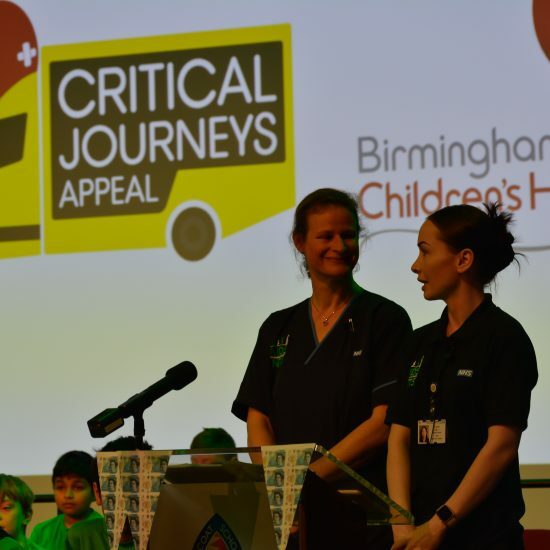 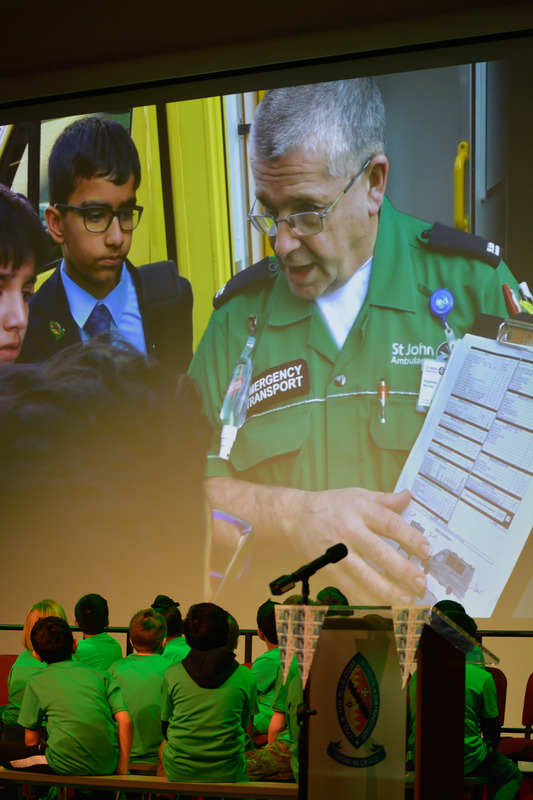 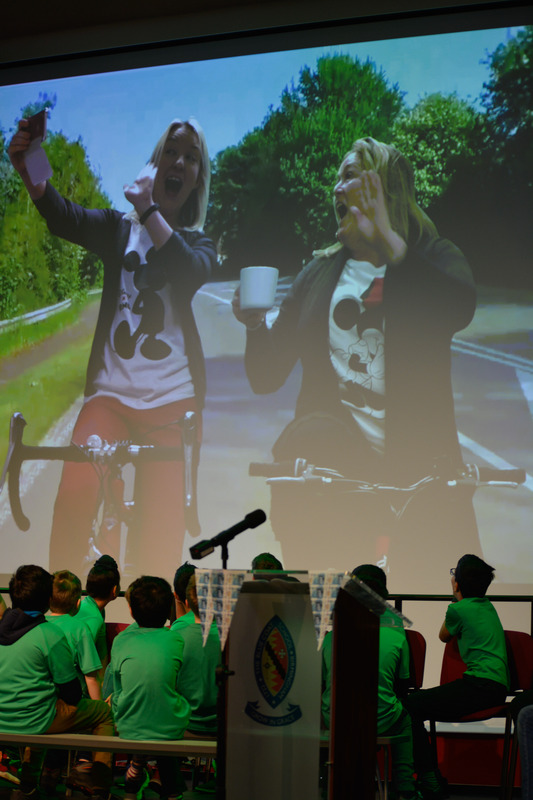 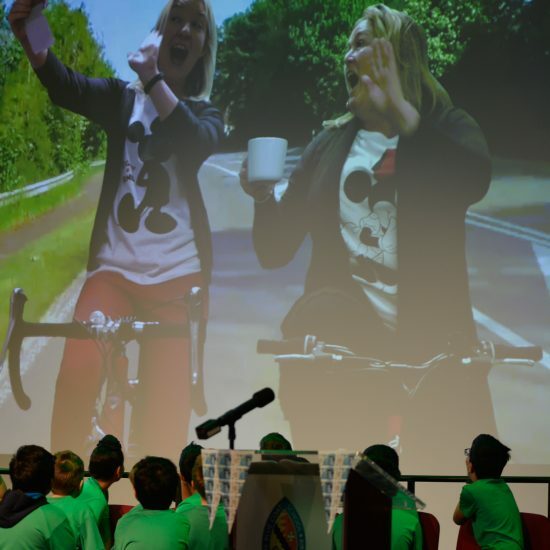 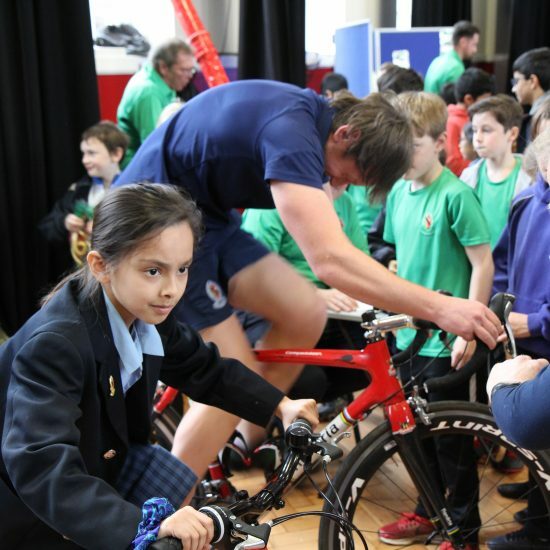 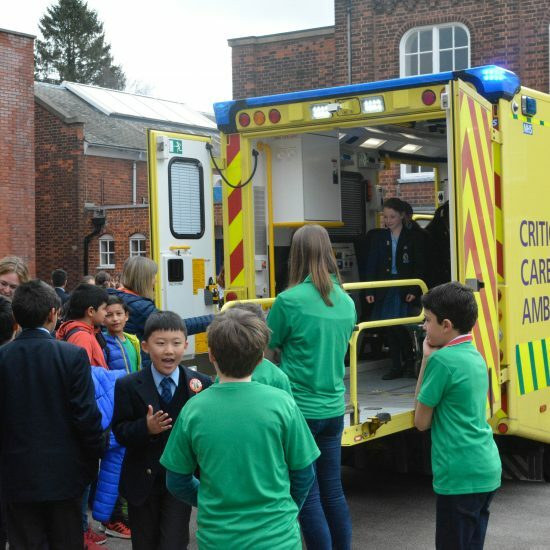 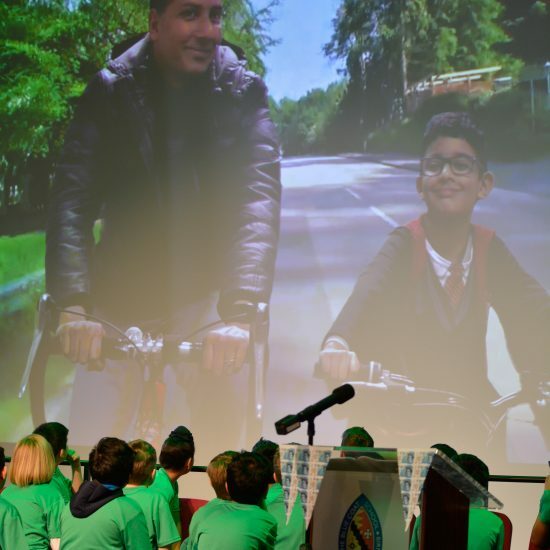 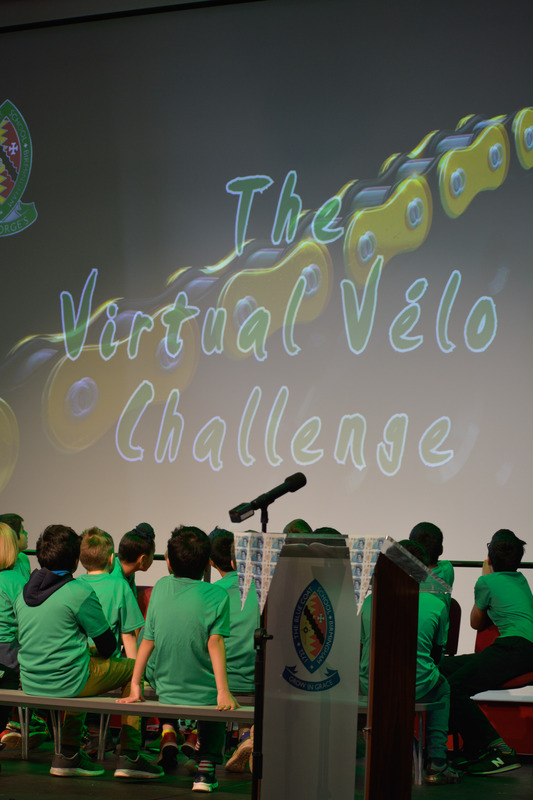 The Virtual Velo was designed to replicate one of the most popular journeys made by the KIDS/NTS ambulances from the Birmingham Women’s Hospital to the Children’s Hospital in Steelhouse Lane, a journey of about 4 miles. 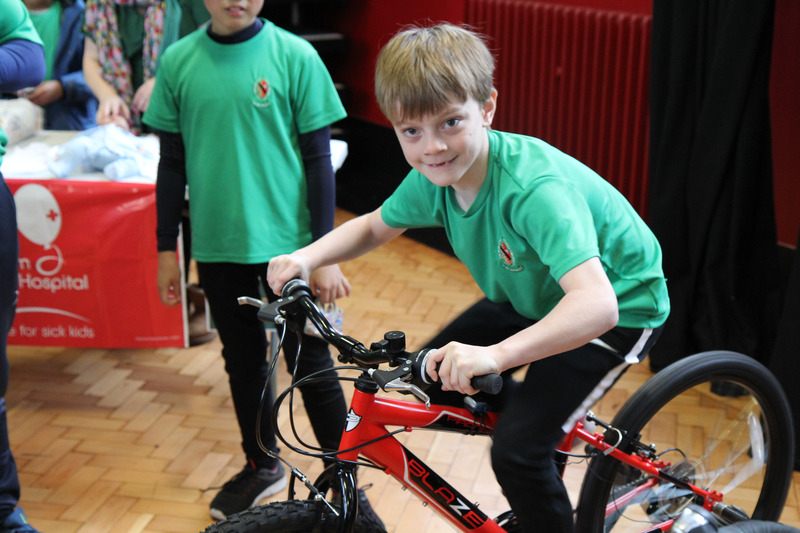 Boys and parents have been clocking up the miles on two spin bikes in the House, and so far have covered an incredible 128 miles! 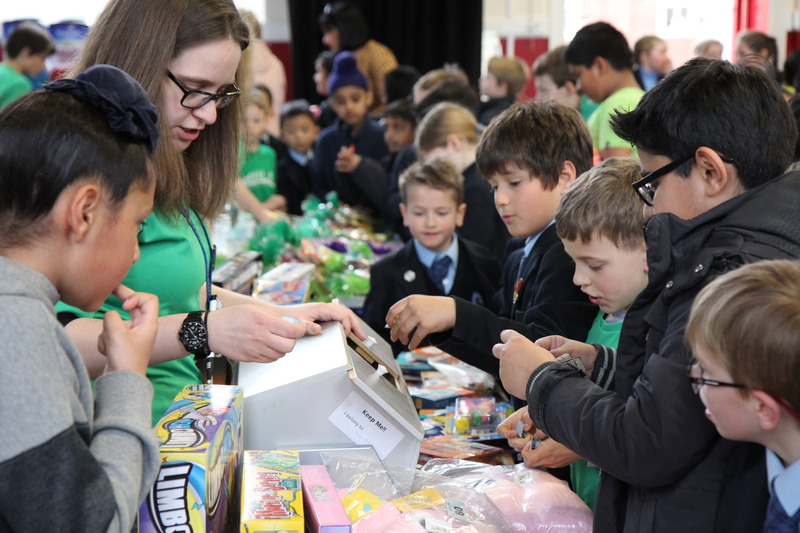 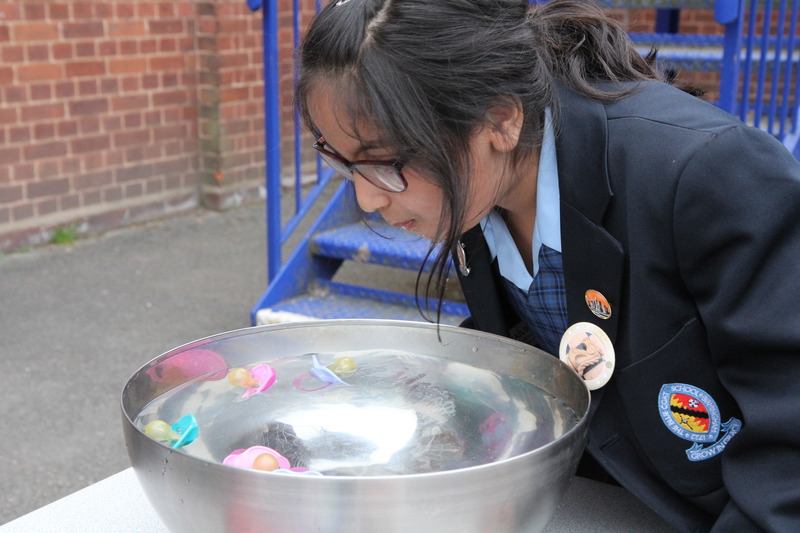 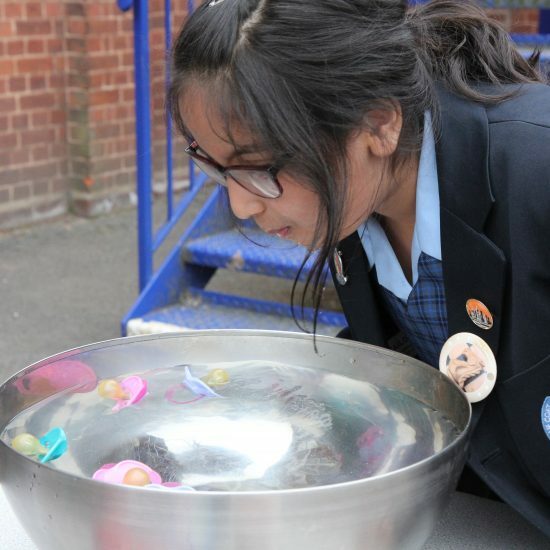 There was a further opportunity to add to this total at the charity fair at break and lunch time. 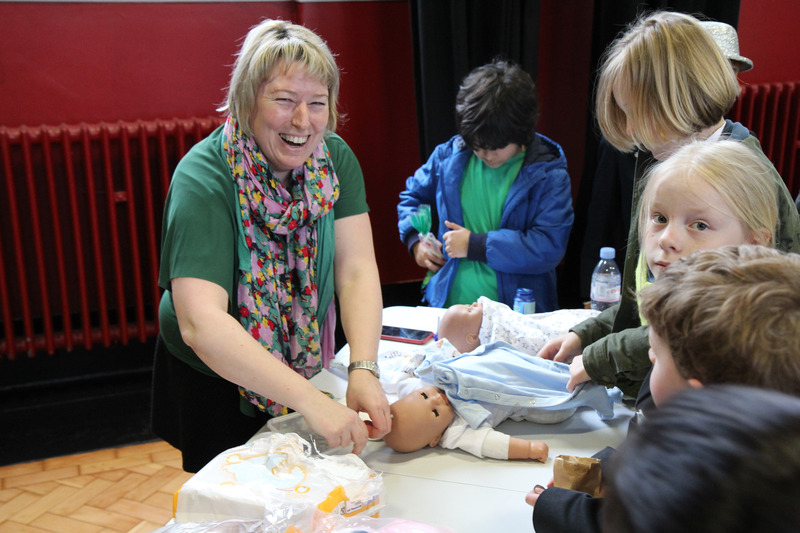 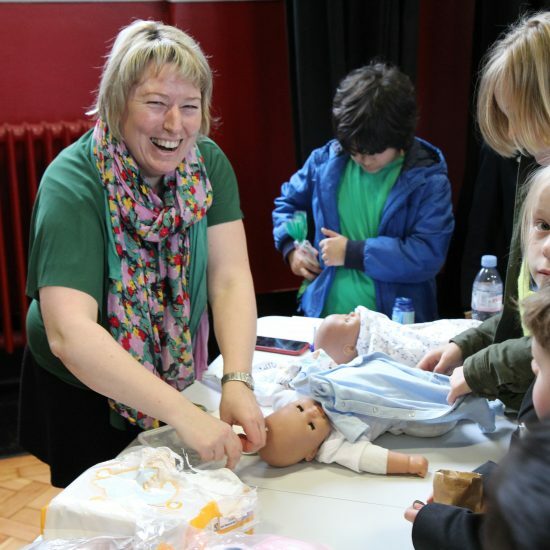 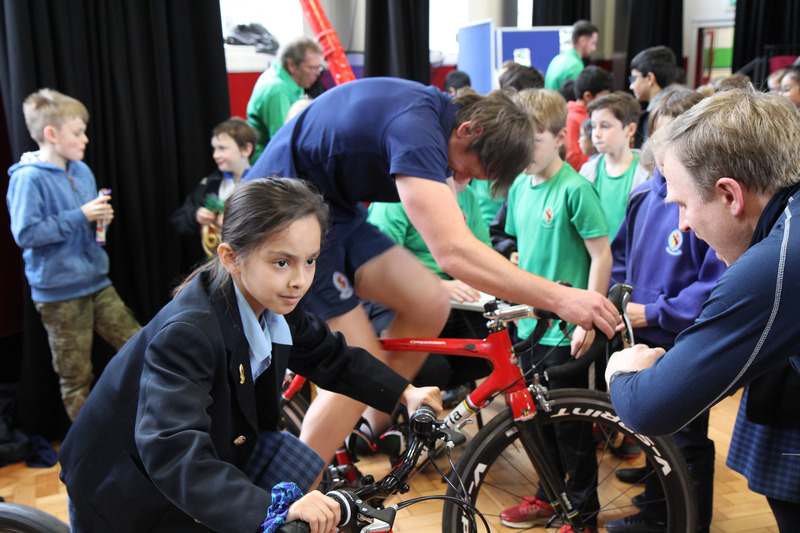 Along with the virtual velo, the children enjoyed baby and hospital themed activities – pin the blue light on the ambulance, diaper dump, nappy ninjas and dummy run, plus all the favourites- pocket money toys, slush puppies and popcorn. 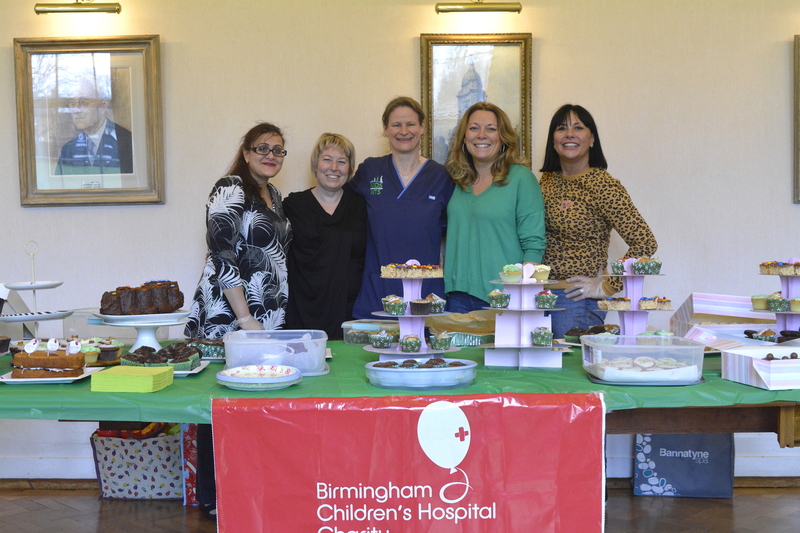 The day ended with a splendid cake sale in the boardroom to bring a successful day to a close. 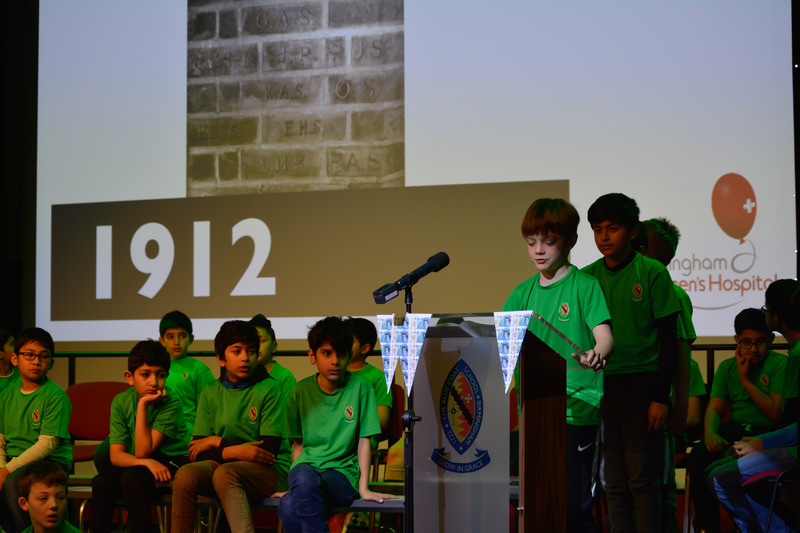 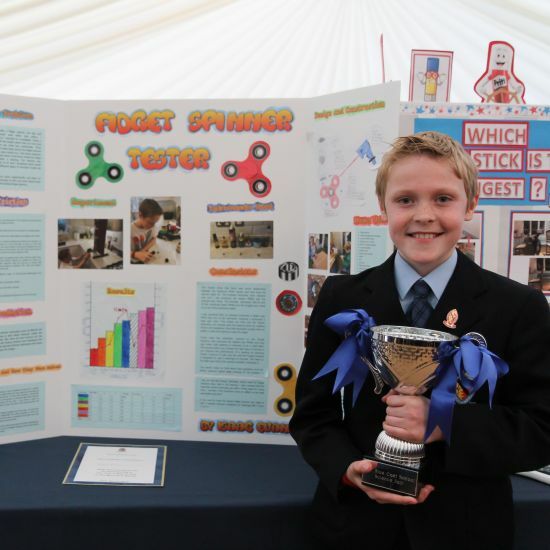 Thank you to all our wonderful parent helpers and staff, and to the boys for all their efforts.